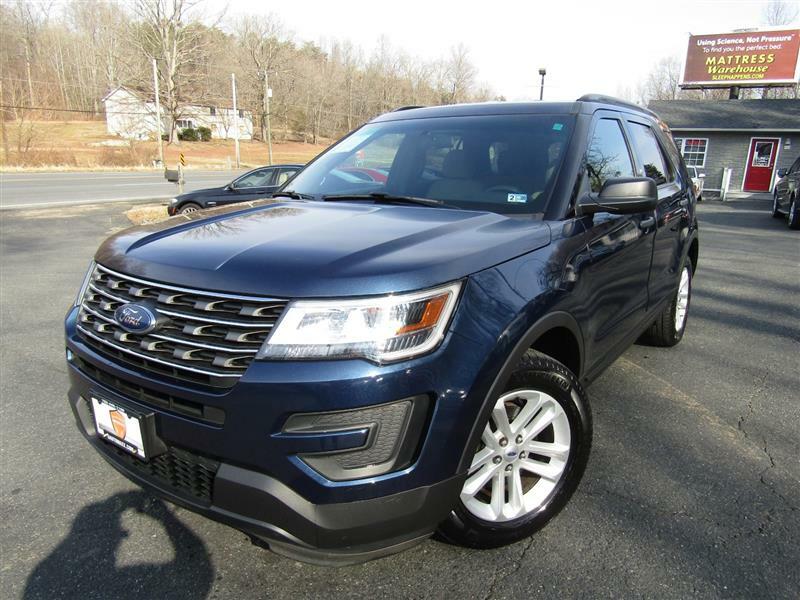 The 2016 Ford Explorer is a large three-row crossover SUV available in five trim levels: base, XLT, Limited, Sport and Platinum. 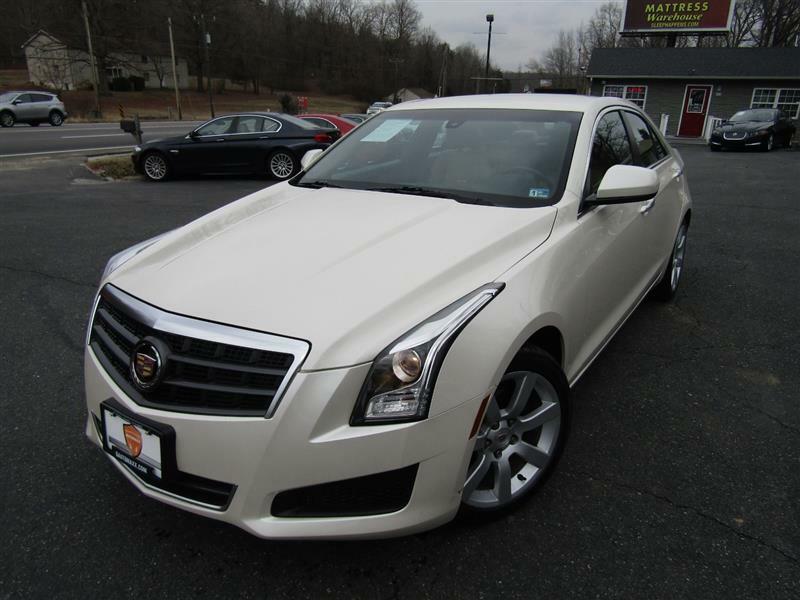 Standard equipment includes 18-inch alloy wheels, automatic LED headlights, LED taillights, rear privacy glass, roof rails, a rearview camera, cruise control, air-conditioning, rear climate controls, a 60/40-split second-row seat, 50/50-split third-row seat, a six-way power driver seat (manual recline), a tilt-and-telescoping steering wheel, a 4.2-inch display screen, Sync (Ford's voice-activated phone/entertainment interface), Bluetooth phone and audio connectivity, and a six-speaker sound system with a CD player and USB/auxiliary audio inputs. 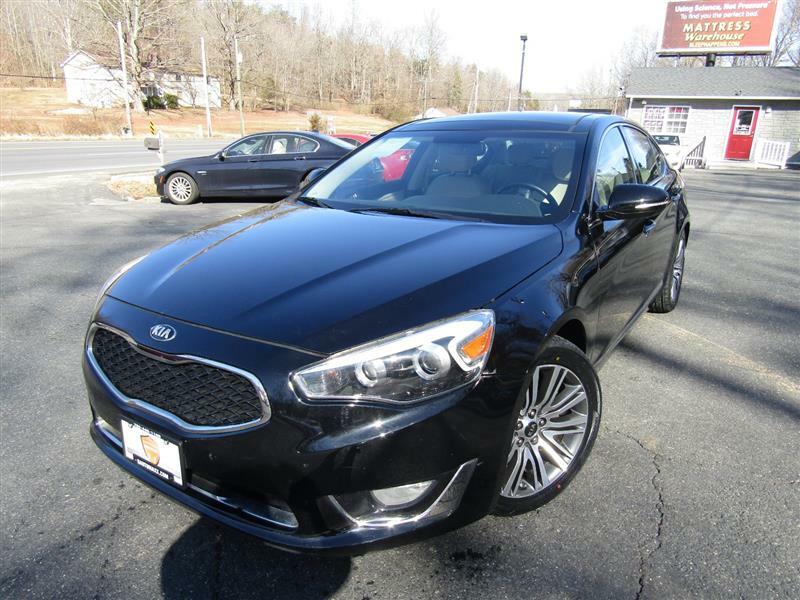 The 2014 Kia Cadenza is a large sedan that comes in two trim levels: the very well-equipped Premium and even more lavish Limited.Standard features on the Premium include 18-inch alloy wheels, automatic headlights, foglights, rain-sensing wipers, power-folding sideview mirrors, keyless ignition/entry, dual-zone automatic climate control, an auto-dimming rearview mirror, leather upholstery, a tilt-and-telescoping steering wheel, 10-way power driver seat, four-way power passenger seat, heated front seats and a ventilated driver seat. 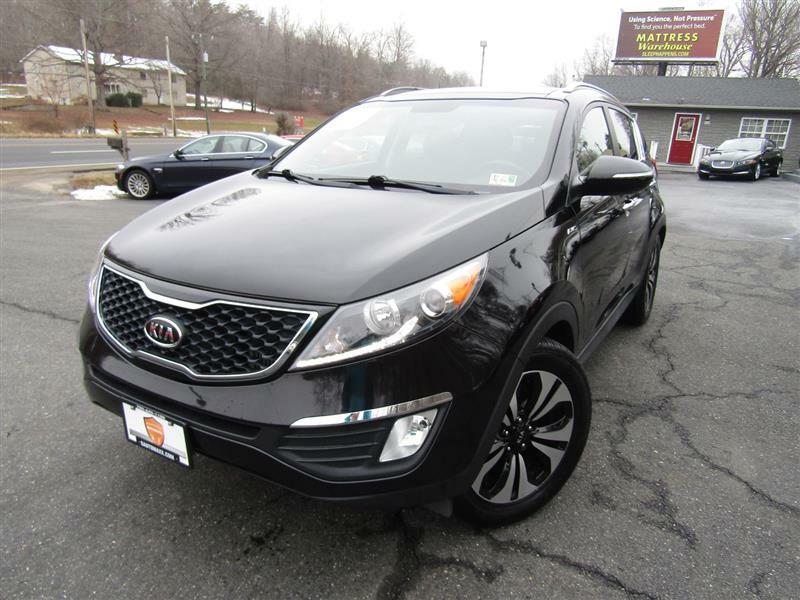 Standard high-tech features include a rearview camera, rear park assist, an 8-inch touchscreen display, Kia's Uvo voice command system, a navigation system, Bluetooth phone/audio and a 12-speaker Infinity sound system with a CD player, satellite radio and USB/iPod/auxiliary audio inputs. 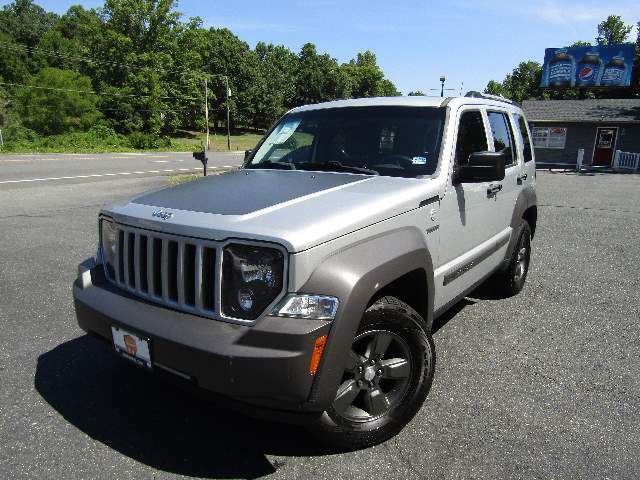 Optional on the Premium is the Luxury package, which includes active xenon headlights, a panoramic sunroof, a windshield wiper de-icer, a 7-inch gauge cluster display, upgraded leather upholstery, a heated and power-adjustable steering wheel, heated rear seats, driver memory settings, a power driver seat cushion extender and a power rear window sunshade. 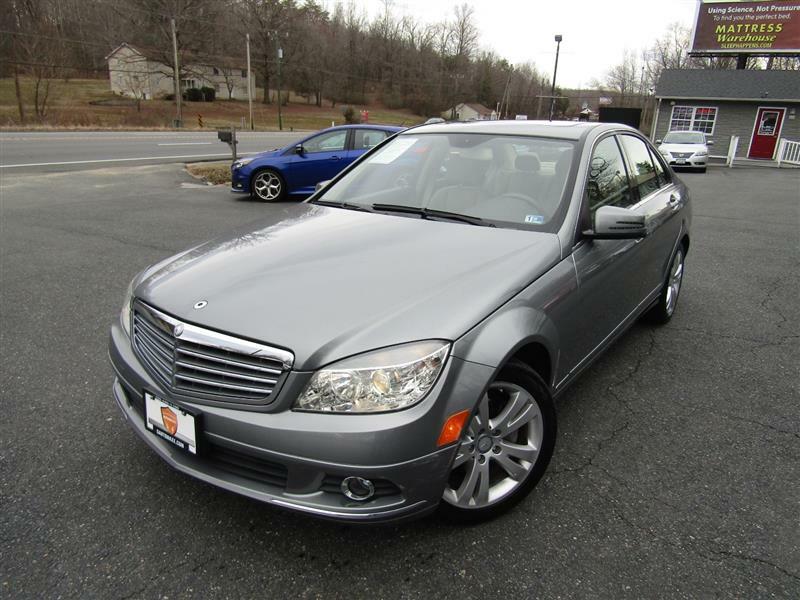 The 2010 Mercedes-Benz E-Class is available in sedan body style. The 2010 Mercedes E550 comes standard with a sunroof, a power tilt-telescoping steering wheel, power front seats with memory functions, MB-Tex premium vinyl upholstery, dual-zone automatic climate control, auto-dimming mirrors, the COMAND electronic interface system, Bluetooth and an eight-speaker stereo with in-dash six-CD changer and auxiliary audio jack. 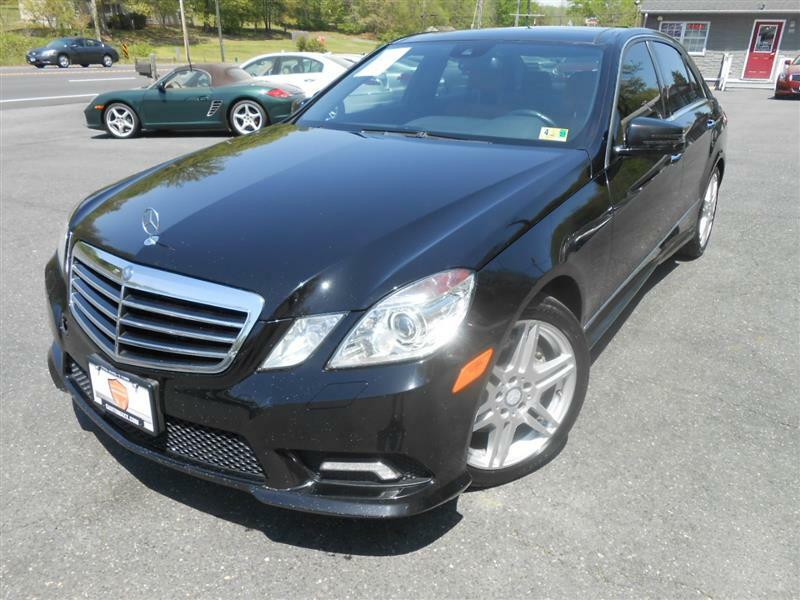 The E550 adds a V8 engine, an air suspension, an upgraded braking system, leather upholstery and heated seats. The E550 sedan is available with the Sport package, that adds 18-inch wheels, a sport-tuned suspension, sport steering wheel and different interior trim. The Premium 1 Package available on the E550 includes a hard-drive-based navigation system, voice commands, a rearview camera, heated front seats, ventilated front seats, a power rear sunshade and a Harman Kardon surround-sound audio system with digital music storage, HD radio, satellite radio and an iPod/MP3 player interface. The Premium 2 package adds all the Premium 1 items, plus adaptive bi-xenon headlights, adaptive high-beam assist, LED daytime running lamps, parking sensors, a power trunk closer, and keyless ignition/entry. 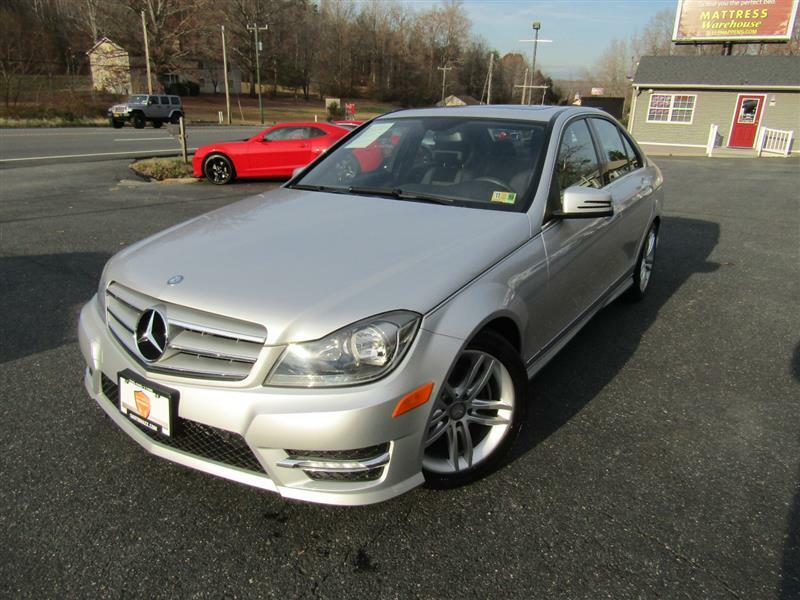 The E550 is powered by a 5.5-liter V8 good for 382 hp and 391 lb-ft of torque. The seven-speed auto is standard. The 2018 RAV4 is a five-passenger compact crossover SUV. 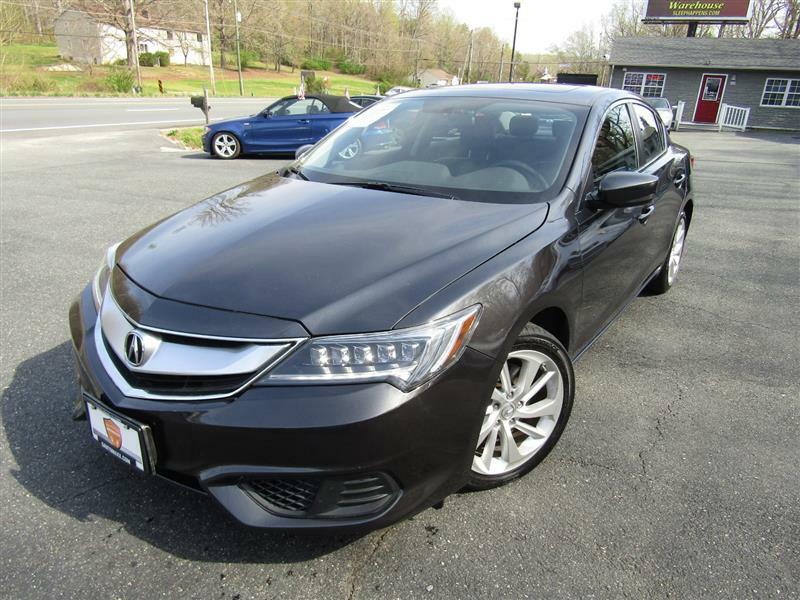 There are LE, XLE, Adventure, SE, Limited and Platinum trim levels, all of which come standard with a 2.5-liter four-cylinder engine (176 horsepower, 172 pound-feet of torque) and a six-speed automatic transmission. 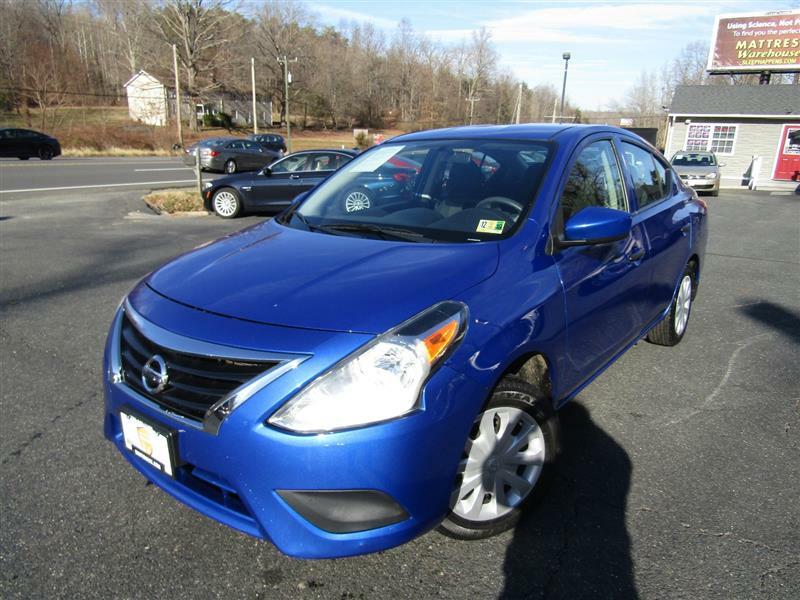 Front-wheel drive is standard on all trim levels, and all-wheel drive is optional. 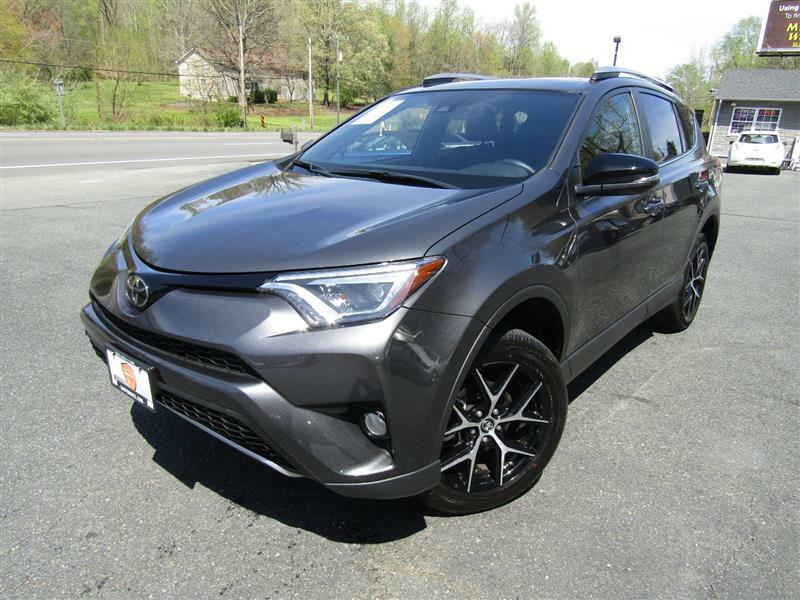 Unlike most competitors, the RAV4's various trim levels do more than just vary in terms of feature content — they can have slightly different styling and overall characters. 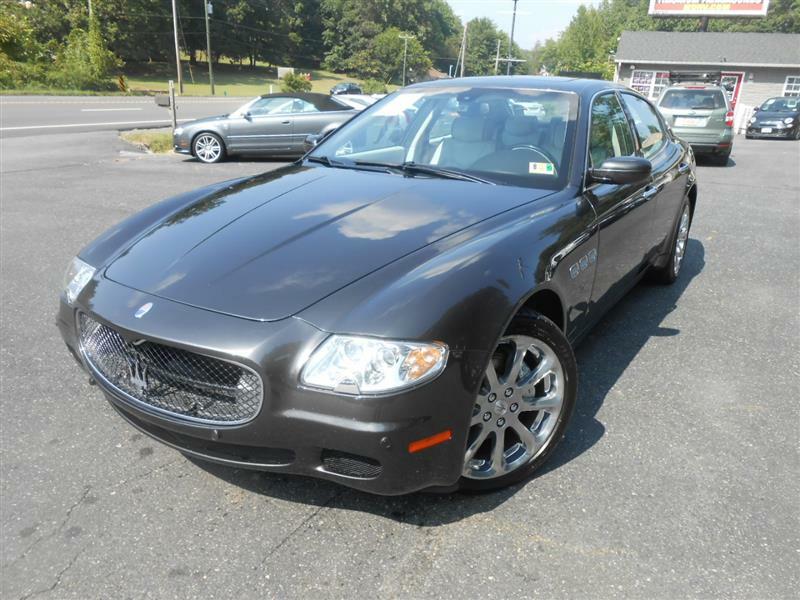 For instance, the SE is sportier while the Adventure is more outdoorsy. The RAV4 LE comes standard with 17-inch steel wheels, rear privacy glass, Toyota Safety Sense P (forward collision warning and automatic emergency braking, lane keeping assist, adaptive cruise control and automatic high beams), a rearview camera, a height-adjustable driver seat, a 60/40-split folding and reclining second-row seat, a 6.1-inch touchscreen interface, one USB port, Bluetooth, and a six-speaker sound system with a CD player and an auxiliary audio jack. 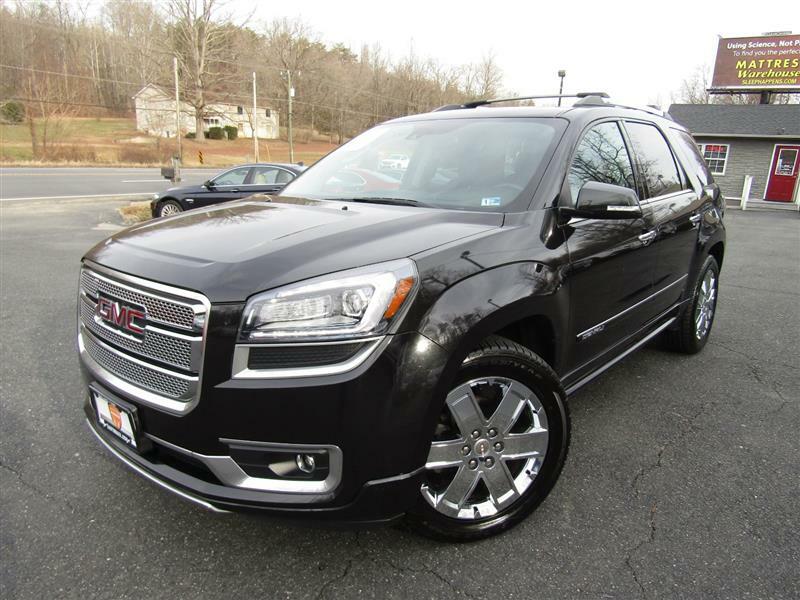 The XLE adds 17-inch alloy wheels, foglights, heated mirrors, upgraded interior trim, a sunroof, dual-zone automatic climate control, a leather-wrapped steering wheel, more aggressively bolstered front seats and extending sun visors. Heated front seats with a power-adjustable driver adjustment are optional. The Adventure adds special styling flourishes, 18-inch black alloy wheels, a slightly raised suspension (6.5 inches of ground clearance versus 6.1), fender flares, all-weather floor mats, a leather-wrapped shift knob and a 120-volt household-style outlet in the cargo area. The Cold Weather package, exclusive to the Adventure, adds heated front seats, the power driver seat, a heated steering wheel, and a windshield wiper de-icer. The SE gets some of the same styling flourishes as the Adventure and the same ground clearance hike, but from there, they differ. 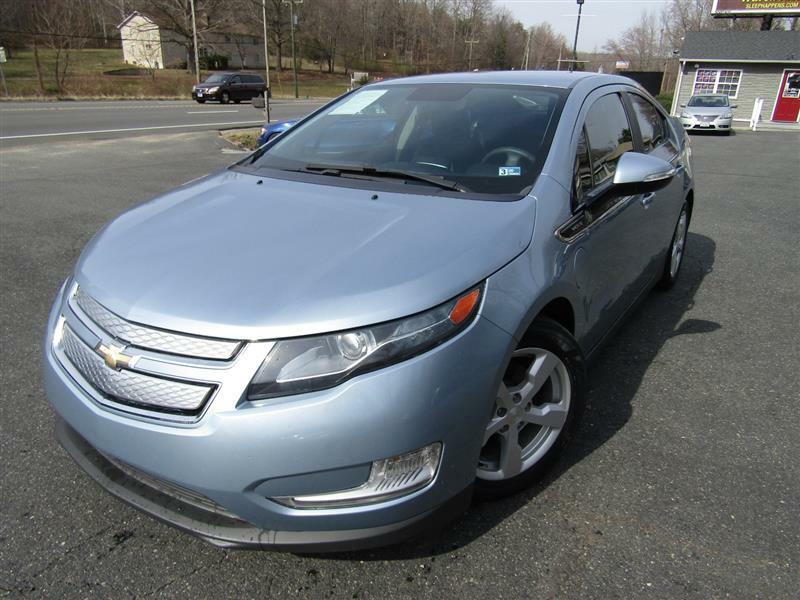 The SE adds automatic LED headlights, LED daytime running lights, LED taillights, 18-inch silver alloy wheels, sportier suspension tuning, an upgraded rearview camera, steering-wheel shift paddles, the power driver seat (plus power lumbar adjustment), heated front seats and SofTex simulated leather upholstery. On the SE, you also get the Entune Audio Plus with Connected Navigation package that adds satellite radio, HD radio and a Scout GPS navigation app that works through your smartphone connection. It's optional on LE, XLE and Adventure. 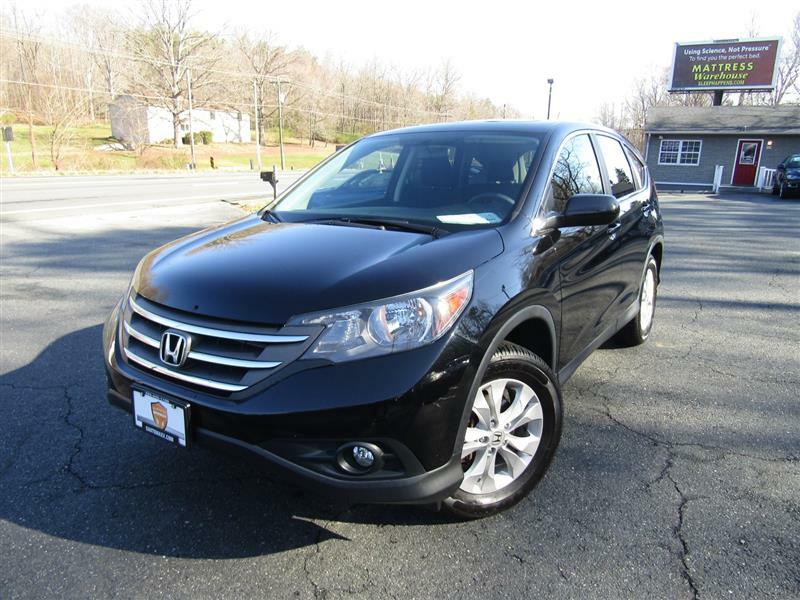 The 2013 Honda CR-V is available in LX, EX and EX-L trim levels, and each can be equipped with front- or all-wheel drive. The well-equipped LX comes standard with 16-inch steel wheels, automatic headlights, keyless entry, full power accessories, air-conditioning, cruise control, a tilt-and-telescoping steering wheel, driver-seat height adjustment, 60/40-split rear seats, a rearview camera, a 6-inch multi-information display, steering wheel audio controls, and Bluetooth phone and streaming audio. All LX models also have a four-speaker sound system with a CD player, a Pandora interface, an auxiliary audio jack and a USB/iPod interface. EX models add 17-inch alloy wheels, foglights, a sunroof, rear privacy glass, a retractable cargo cover and six speakers for the sound system. The main option for the XL is Equipment Group 101A. 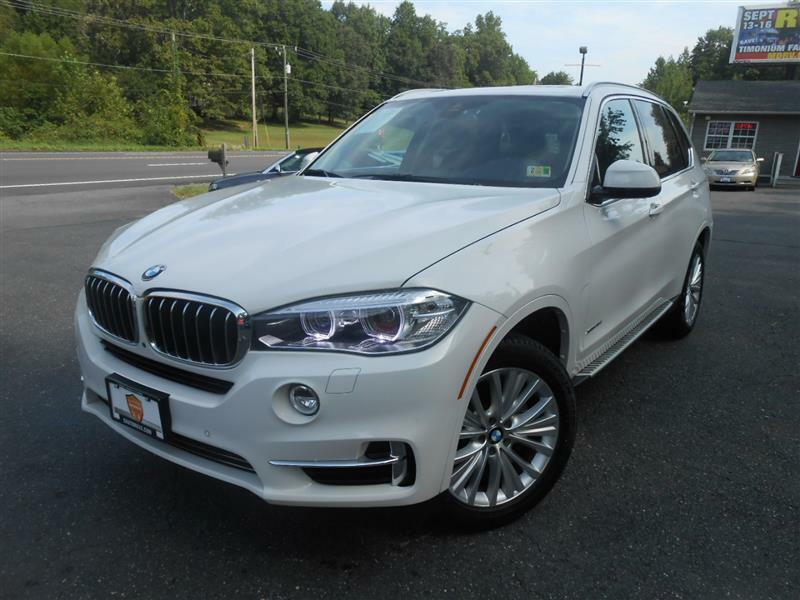 That includes the XL Power Equipment Group that adds automatic headlights, daytime running lights, power mirrors and windows, power door and tailgate locks and keyless entry. Also part of the 101A package are cruise control, a 4.2-inch information display, Ford's Sync voice control and smartphone integration system, Bluetooth phone and audio connectivity and USB and auxiliary audio input jacks for the sound system. There's also a long list of stand-alone options that include appearance packages, skid plates, running boards, tailgate and box side steps, a spray-in bedliner, an integrated trailer brake controller, a power-sliding rear window, a rearview camera, a CD player, satellite radio, rear parking sensors, different axle ratios and towing packages. The next step up is the XLT trim level, which adds the content of the 101 package plus 17-inch alloy wheels, foglights, chrome exterior trim and extra interior storage. Option groups on the XLT include a 301A package that adds heated mirrors, driver-side and rearview auto-dimming mirrors, a rear window defroster, a Class IV trailer hitch, an eight-way power driver seat (with power lumbar), a leather-wrapped steering wheel, power-adjustable pedals, rear under-seat storage, a rearview camera and a seven-speaker sound system with satellite radio. A Luxury Option Group 302A adds to that with remote engine start, a power-sliding rear window, LED bed lighting, rear parking sensors, heated 10-way power-adjustable front seats, 110-volt household-style power outlets and the MyFord Touch interface that includes an 8-inch central touchscreen display. 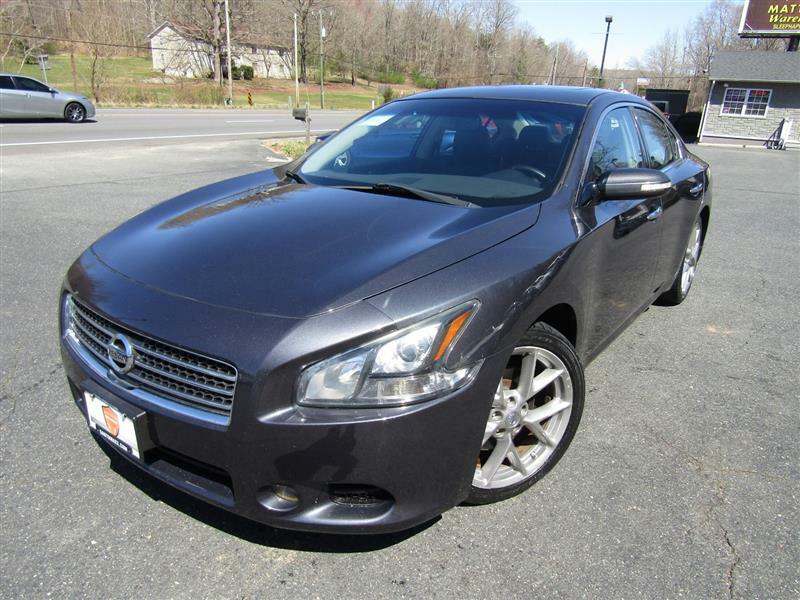 The 2011 Nissan Maxima is a midsize entry-level luxury sedan available in S and SV trim levels. The base model S comes standard with 18-inch alloy wheels, automatic headlamps, cruise control, a sunroof, keyless ignition/entry, dual-zone automatic climate control and a tilt-and-telescoping steering column, along with eight-way driver and four-way passenger power front seats. Also standard in the S are a 60/40-split-folding rear seat, cloth upholstery, a leather-wrapped steering wheel with audio controls, a trip computer, an auto-dimming rearview mirror, Bluetooth and an in-dash six-disc CD-changer with an auxiliary audio jack. The Maxima SV adds integrated turn signals located in the exterior mirrors, foglamps, a driver-seat manual thigh-support extender, power lumbar support, leather upholstery and a nine-speaker Bose stereo upgrade with satellite radio. The SV can be optioned with either the Premium or Sport packages -- both of which add shift paddles on the steering wheel, xenon headlights, a driver-side auto-dimming outside mirror, heated front seats, heated outside mirrors, driver memory functions and a power tilt-and-telescoping steering column. 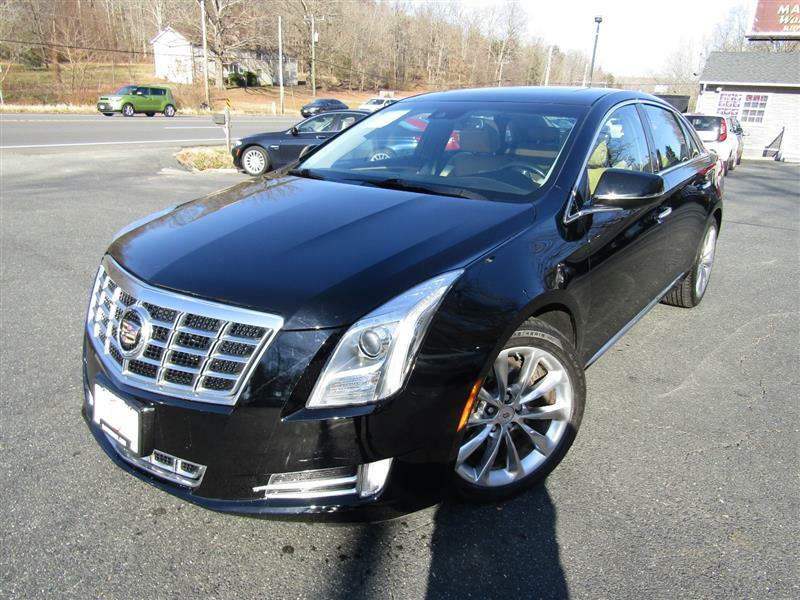 These packages also include a heated steering wheel, upgraded leather upholstery and rear bucket seats with a center trunk pass-through in lieu of the 60/40-split seats. The Premium package differs by adding a dual-panel sunroof, a rearview camera, a 7-inch LCD screen, a ventilated driver seat, rear-seat audio and HVAC controls, automatic up/down rear windows, a power rear sunshade, wood trim, an RCA auxiliary audio-video jack, a 2GB music server (replacing the six-disc CD changer) and an iPod interface. 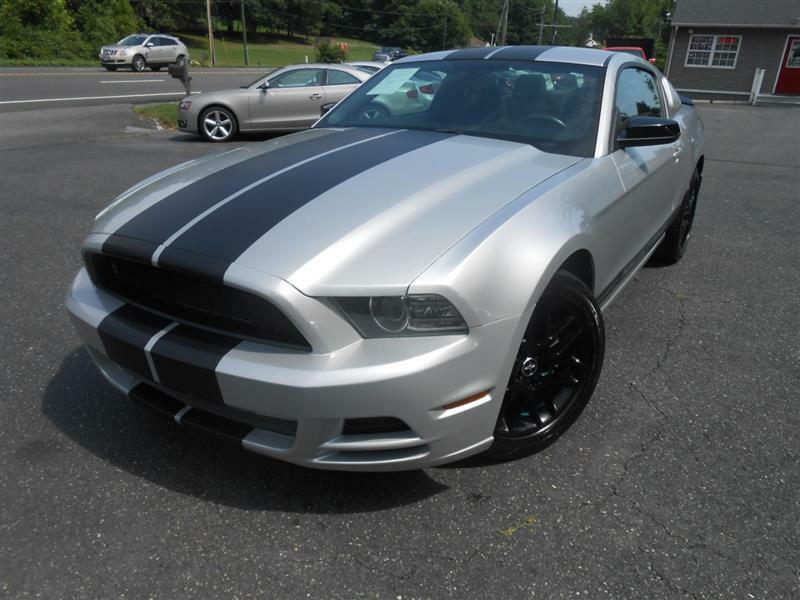 The Sport package features a sport-tuned suspension, 19-inch wheels, smoked headlights, dark chrome grille, gray metallic stitching accents, a rear spoiler and metallic-look interior trim. High-performance summer tires are an added option with the Sport package. The Technology package adds a voice-activated navigation system with real-time traffic, a 7-inch LCD screen with DVD playback, a single in-dash CD player (which replaces the six-disc version), streaming Bluetooth audio and 9.3GB of digital music storage. The Monitor package includes the color monitor, 2GB music server, auxiliary audio-video jack, rearview camera and USB port. Finally, the Cold package adds heated front seats, a heated steering wheel and heated outside mirrors. 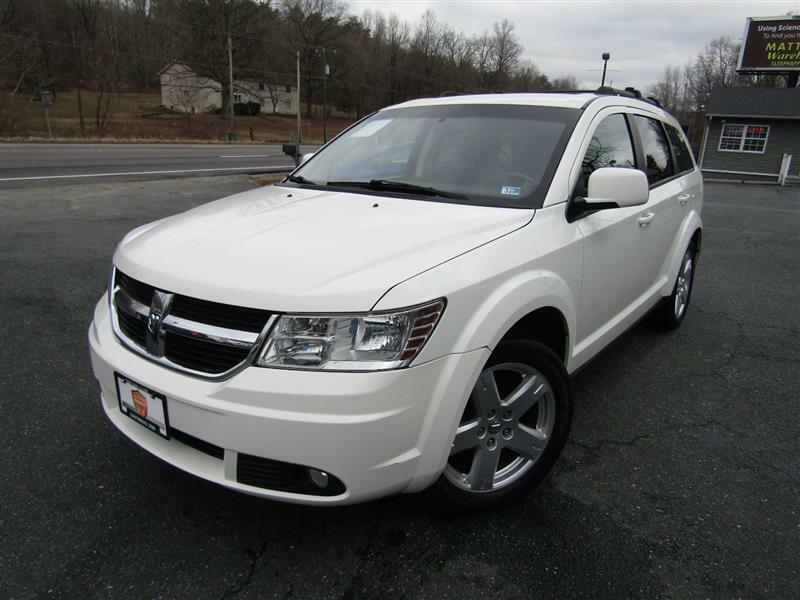 A midsize crossover SUV, the 2010 Dodge Journey comes in SE, SXT and R/T trim levels. All models come standard with two-row seating for five; with the optional 50/50-split-folding third-row bench (SXT and R/T only), capacity increases to seven. The base SE comes with 16-inch steel wheels, keyless entry, a tilt-and-telescoping steering wheel, air-conditioning, full power accessories and a six-speaker stereo with a six-disc CD/MP3 changer. The midgrade SXT adds 17-inch alloy wheels, automatic headlamps, heated side mirrors, a trip computer, enhanced interior storage, stain-resistant cloth upholstery, a six-way power driver seat, an auto-dimming rearview mirror, a 115-volt power outlet and satellite radio. 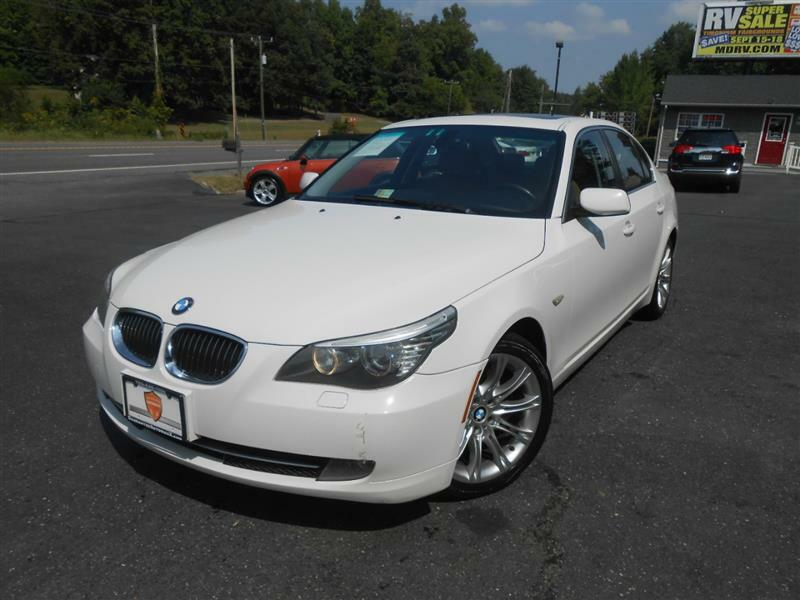 The 2008 BMW 5 Series receives a number of significant changes, most notably a pair of new six-cylinder engines. 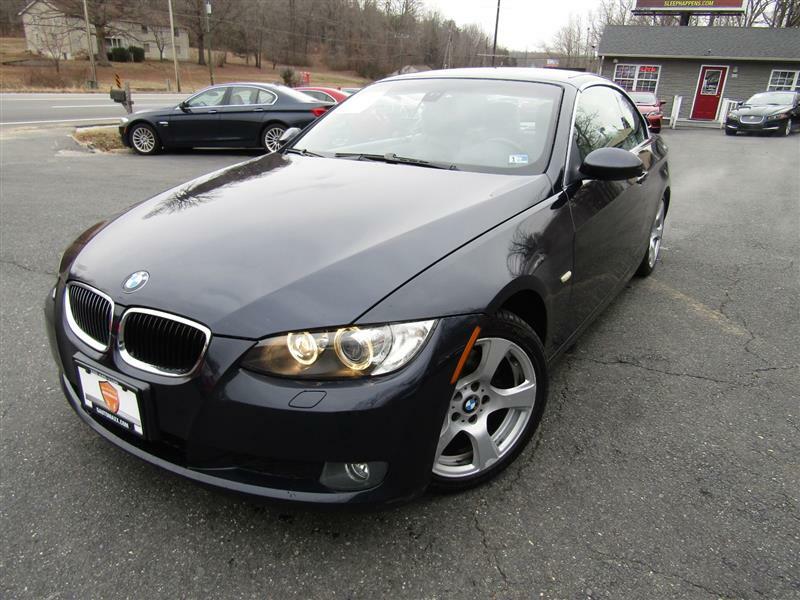 The 535i is powered by the same twin-turbo 300-hp inline-6 found in the 3 Series. There are a number of high-tech standard and optional additions to the 5 Series that allow it to keep pace and, in a few instances, surpass the rapidly advancing competition. To spot the updated 5 Series, look for a barely noticeable redesigned front airdam, new headlight lenses and LED taillights. 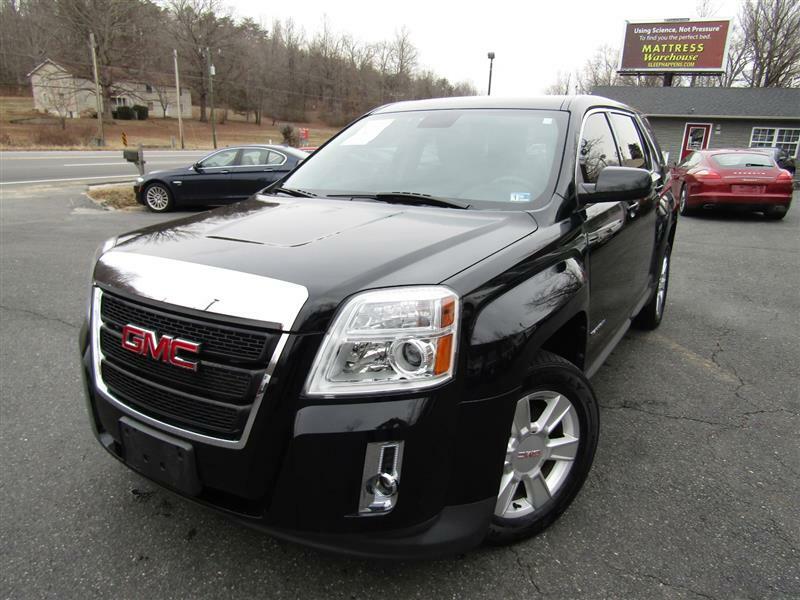 Exceptional ride and handling dynamics, smooth and vigorous engines, premium cabin furnishings, precision build quality, strong resale value. "I want a car that gives me the passenger space and commanding view of the road of a compact SUV, but I'd like it to get the fuel economy of a Prius." 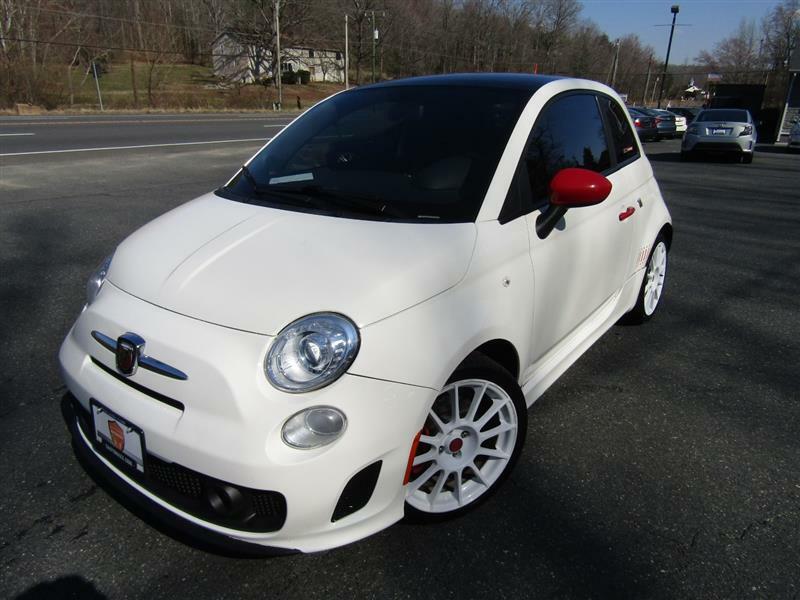 Up until now, finding such a car was just as plausible as waking up to find a unicorn munching on your lawn. 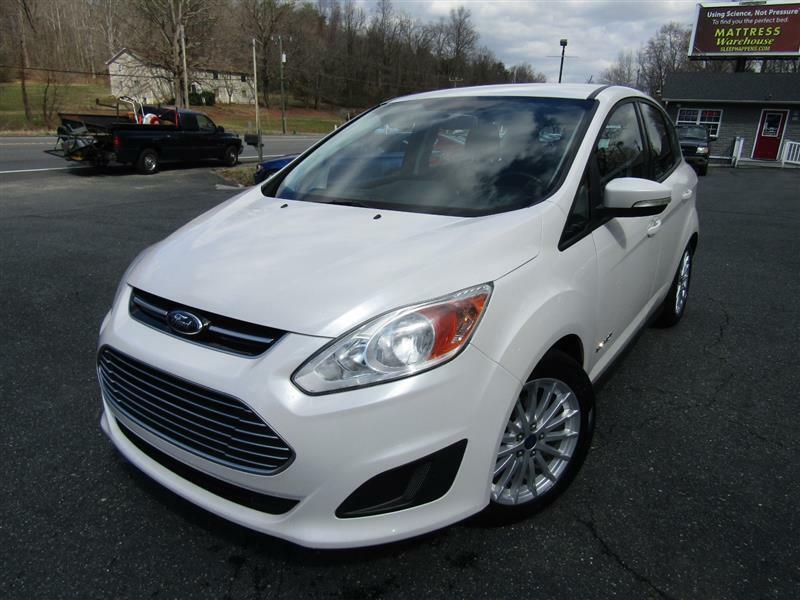 Yet the 2013 Ford C-Max Hybrid proves that such a magical blending is possible. This replacement for the former Ford Escape Hybrid gives you much of the Escape's practicality, but with an EPA-estimated 40 mpg in every driving cycle, it betters its hybrid SUV predecessor by 8 mpg.The 2013 Ford C-Max Hybrid hatchback wagon is available in two trim levels: SE and SEL. The SE trim comes standard with 17-inch alloy wheels, full power accessories, integrated blind-spot mirrors, cruise control, dual-zone automatic climate control, a height-adjustable driver seat, a leather-wrapped tilt-and-telescoping steering wheel, the Sync voice-activated electronics interface (includes Bluetooth phone connectivity) and a six-speaker sound system with a CD player, an auxiliary audio jack and an iPod/USB audio interface. 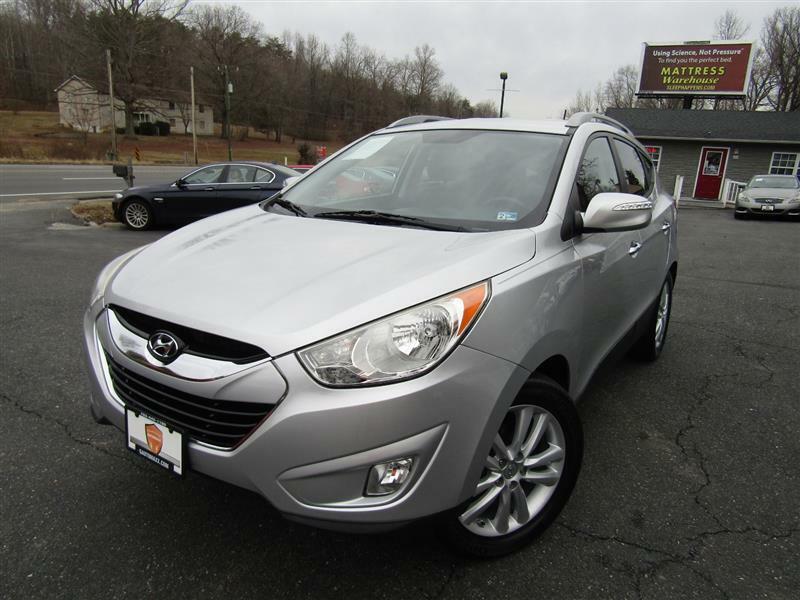 The 2010 Hyundai Tucson is a five-passenger compact crossover SUV available in GLS and Limited trim levels. The GLS comes standard with 17-inch steel wheels, a hill-holder feature, hill descent control, keyless entry, a trip computer, air-conditioning, full power accessories, keyless entry, a tilt steering wheel, a height-adjustable driver seat and a six-speaker stereo with CD player, satellite radio, auxiliary audio jack and a USB port with an iPod interface. The Popular Equipment package adds 17-inch alloy wheels, an auto-up/down driver window, cruise control, body-color heated mirrors and door handles, roof rails, a tilt-and-telescoping leather-wrapped multifunction steering wheel, leatherette/cloth upholstery and Bluetooth. The Navigation package adds all Popular Equipment package items plus a touchscreen navigation system, a rearview camera, automatic headlights and a seven-speaker stereo including a subwoofer. The Tucson Limited adds all Popular Equipment items plus 18-inch alloy wheels, chrome grille and door handles, automatic headlights, foglights, a front wiper de-icer, a cargo cover, leather upholstery, heated front seats, an eight-way power driver seat (includes lumbar adjustment) and dual-zone automatic climate control. 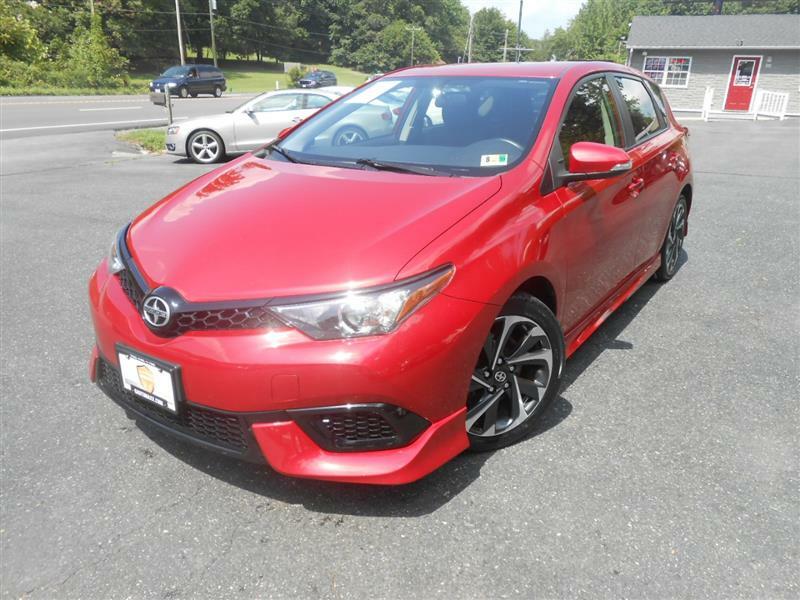 The 2016 Scion iM is a five-passenger hatchback that is offered in one well-appointed trim level. Standard features include 17-inch alloy wheels, LED running lights, automatic headlights, power-folding heated mirrors, full power accessories, keyless ignition and entry, dual-zone automatic climate control, a tilt-and-telescoping column with a leather-wrapped steering wheel, cruise control, 60/40-split folding rear seats, a rearview camera, Bluetooth phone and audio connectivity, a 7-inch touchscreen and a six-speaker stereo with HD radio, Aha streaming Internet radio and a USB interface. Powering the Scion iM is a 1.8-liter four-cylinder that produces 137 horsepower and 126 pound-feet of torque. 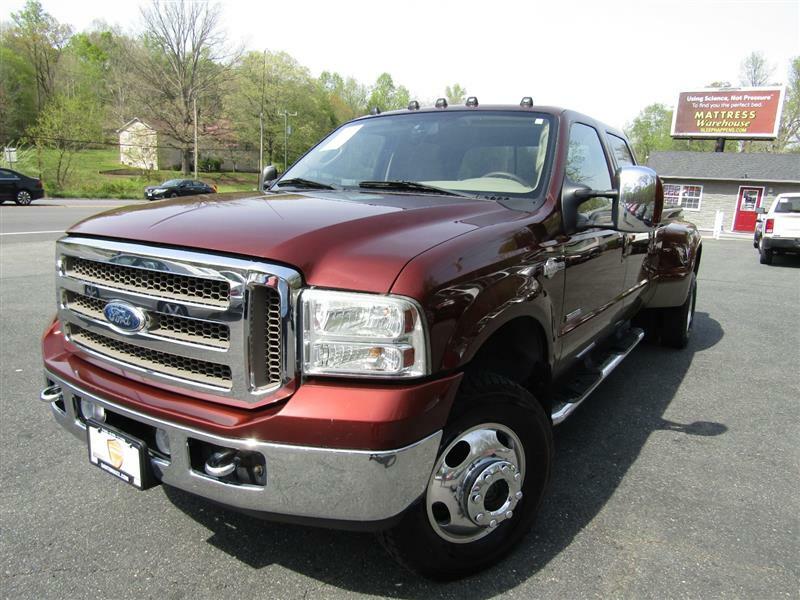 The 1-ton 2007 Ford F-350 Super Duty pickup comes in Regular Cab, SuperCab and Crew Cab body styles. SuperCab models have small rear-opening doors, while the Crew Cab has four full-size swing-out doors. Regular cabs come in long-bed configuration only, while SuperCabs and Crew Cabs are available with a short or long bed. 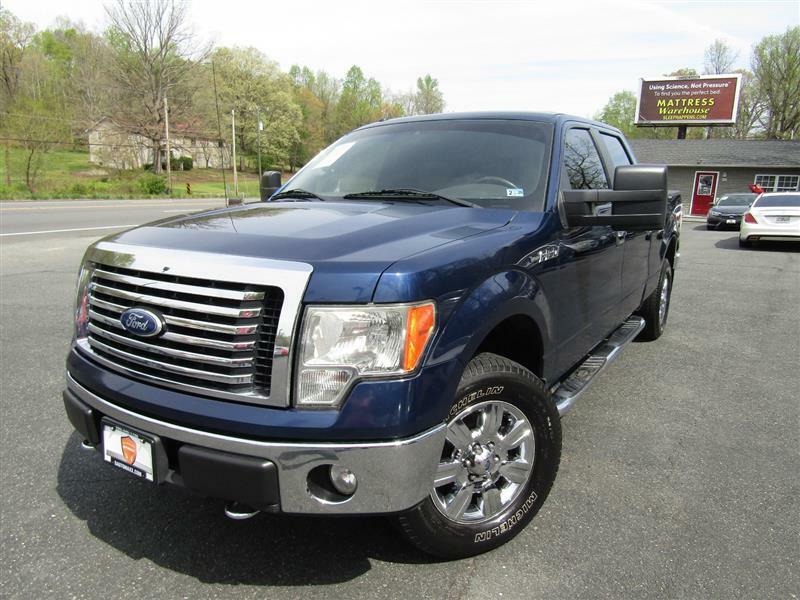 Buyers can choose from XL, XLT and Lariat trim levels (note that regular cabs are not available in Lariat trim). 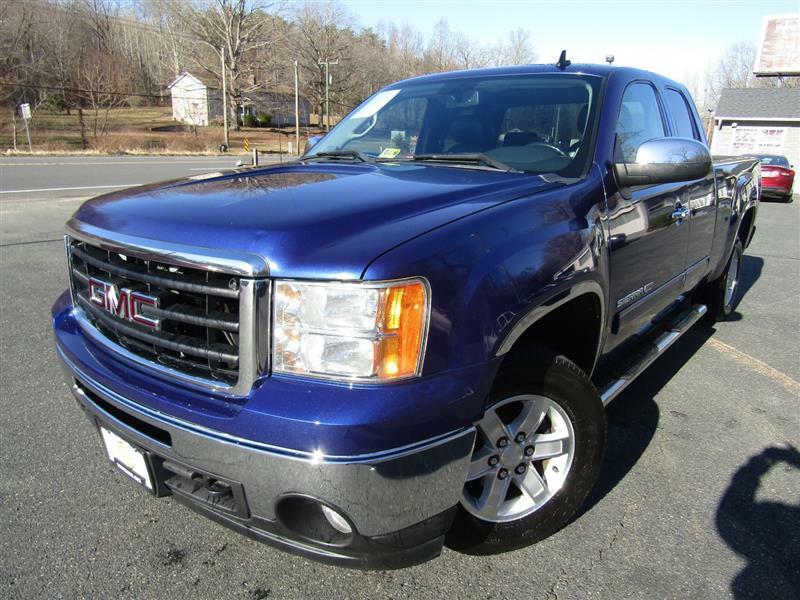 XL models are best used as work trucks, as they come with a vinyl bench seat in front; manual windows, mirrors and locks; a basic AM/FM radio; and no air-conditioner. The XLT adds a cloth-upholstered 40/20/40 front bench seat, air-conditioning, a CD player, cruise control and a full set of power controls. High-line Lariats come with features like leather upholstery, a power driver seat and dual-zone automatic climate control. An extensive list of options is available on the F-350. Lariat buyers seeking a top-grade leather interior can go with the Harley-Davidson Package (not available on dualies) or King Ranch Package, while those needing additional off-road capability can get an electronic transfer case, upgraded shocks and skid plates in the FX4 Off-Road Package available on all trims. We highly recommend the Tow Command system option, as it provides an integrated controller that synchs up the brakes on your trailer with those on the truck. 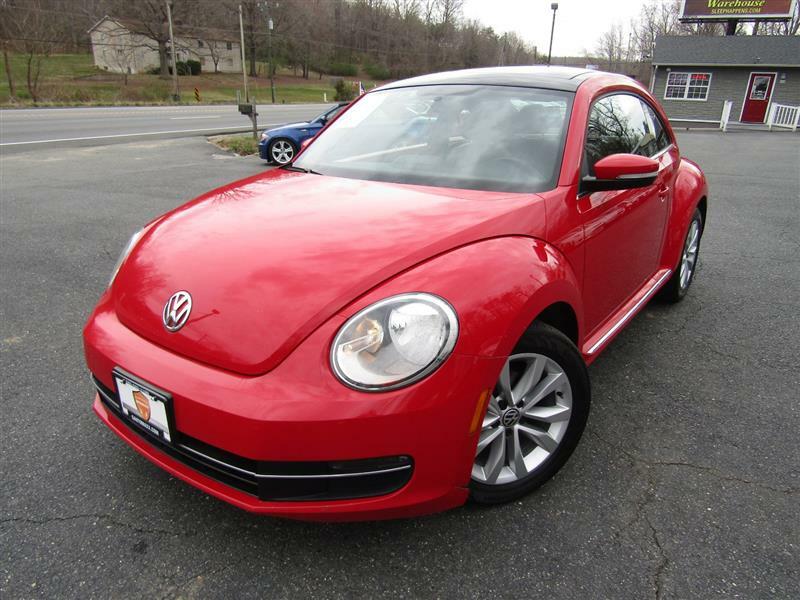 The 2013 Volkswagen Beetle is a four-passenger, two-door hatchback available in three main trim levels that denote the engine: Beetle 2.5L (2.5-liter gasoline), Beetle Turbo (turbocharged 2.0-liter gasoline) and Beetle TDI (turbocharged 2.0-liter diesel). For now, only the two-door hatchback is offered, but a convertible version will debut later in the model year. The Beetle 2.5L comes standard with 17-inch alloy wheels, heated windshield-washer nozzles, heated mirrors, full power accessories, air-conditioning, cruise control, a leather-wrapped tilt-and-telescoping steering wheel, heated and height-adjustable front seats (with lumbar adjustment), leatherette (premium vinyl) upholstery, Bluetooth phone and audio connectivity, a trip computer and an eight-speaker sound system with a CD player, an iPod interface and an auxiliary audio jack. 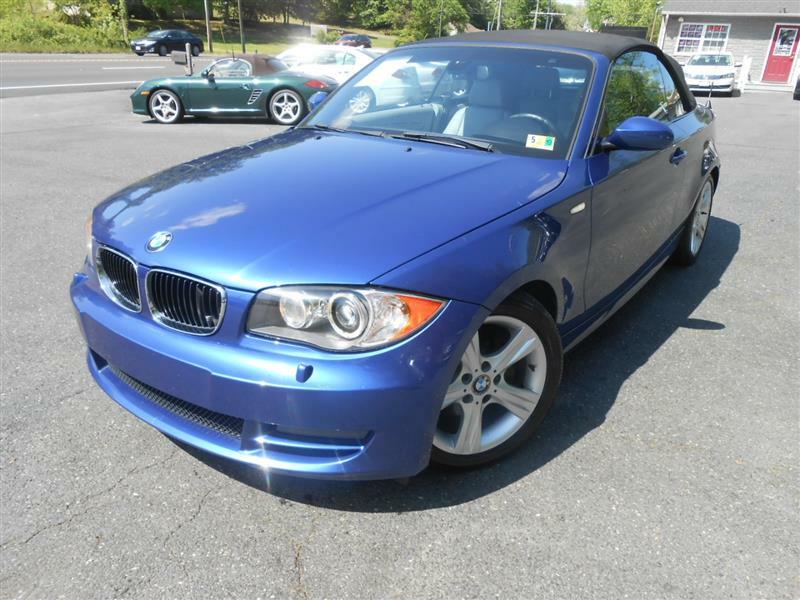 The Sunroof package adds a panoramic sunroof, keyless ignition/entry, a multifunction steering wheel, a front center armrest, an upgraded trip computer, satellite radio, a touchscreen audio interface and a six-CD changer. The Sunroof, Sound & Navigation package includes the above plus 18-inch wheels, a navigation system and a premium Fender audio system with a subwoofer. The Beetle Turbo additions to the Beetle 2.5L's equipment include 18-inch wheels, foglights, a rear spoiler, a sport-tuned suspension, sport seats, Turbo-specific cloth upholstery and alloy pedals. 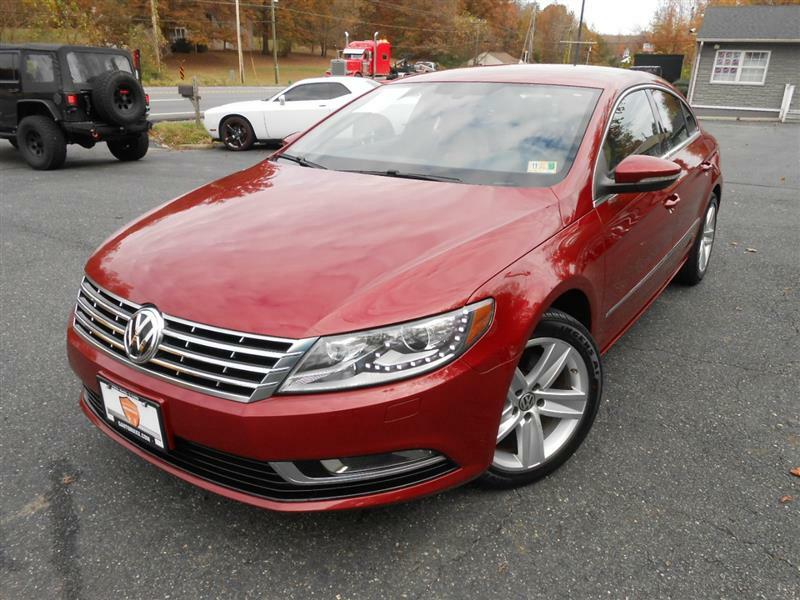 The Sunroof and Sound package adds the same items as the 2.5L's Sunroof package along with the Fender audio system and shift paddles (when equipped with the DSG transmission). The Turbo's Sunroof, Sound and Navigation System adds a navigation system to the above package along with leather upholstery. 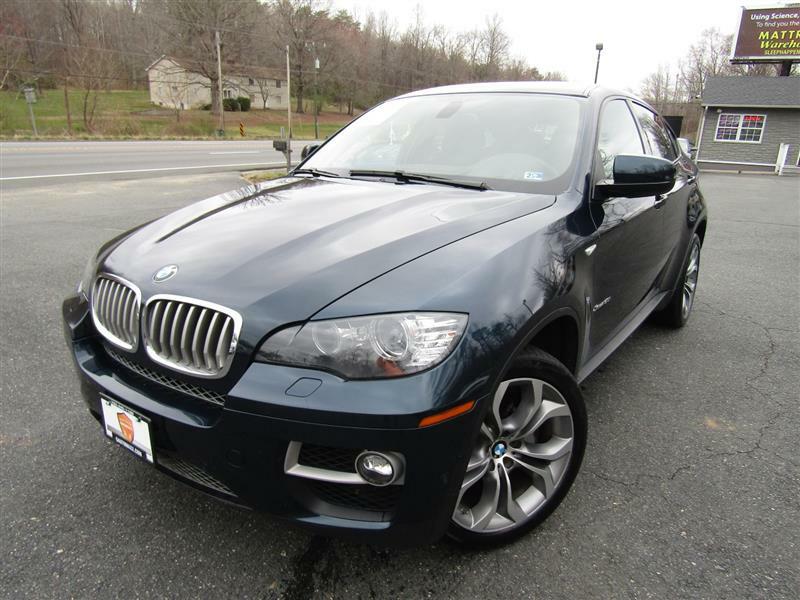 Bi-xenon headlamps and 19-inch wheels can be added to this package. The Beetle TDI includes the 2.5L's standard equipment along with satellite radio. 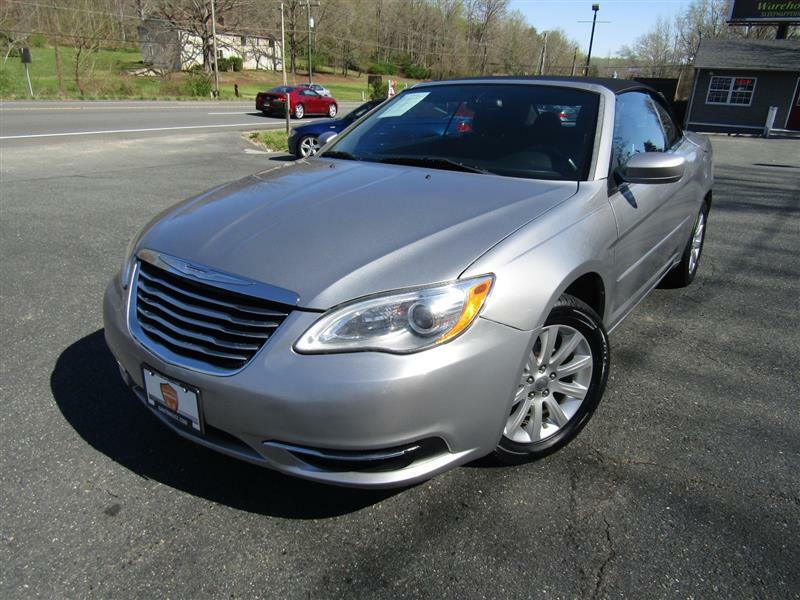 It similarly offers the 2.5L's optional Sunroof and Sunroof, Sound & Navigation packages. 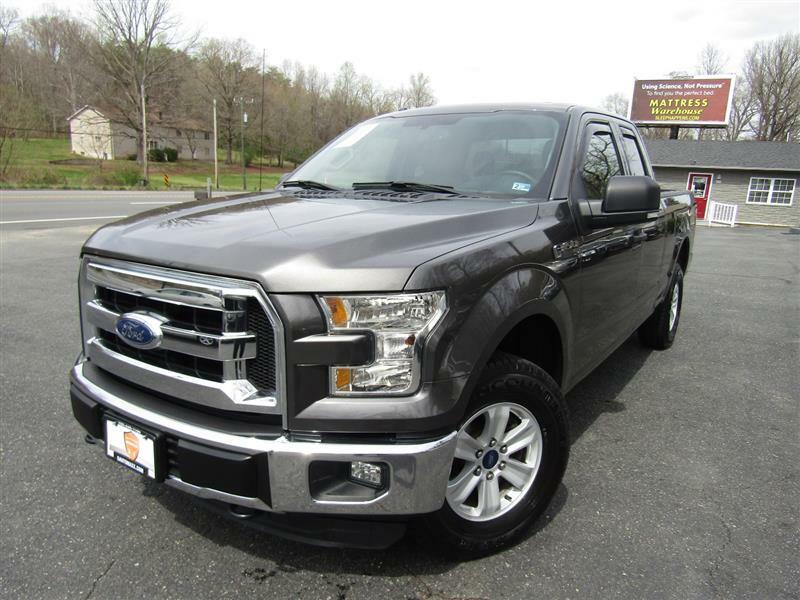 The F-150 is a perennial best-seller because Ford listens to truck people, and the 2010 F-150 epitomizes this philosophy. 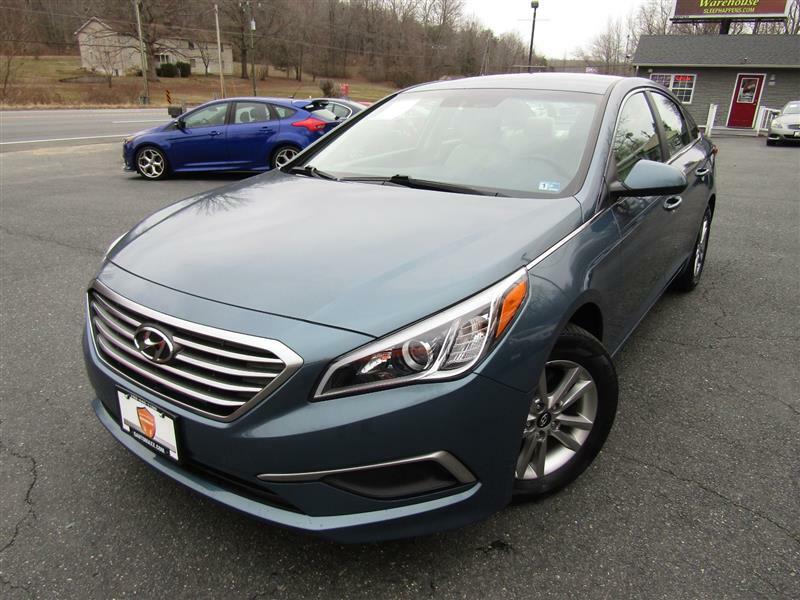 The 2016 Hyundai Sonata is available in SE, Sport, Eco, Limited, Sport 2.0T and Limited 2.0T trim levels. The Sonata Hybrid is reviewed separately. Standard features on the SE include 16-inch alloy wheels, a rear lip spoiler, automatic headlights, air-conditioning, cruise control, full power accessories, heated mirrors, a tilt-and-telescoping steering column and a 60/40-split folding rear seatback. Technology features include a 7-inch touchscreen display, a rearview camera, the Blue Link telematics system (with smartphone integration via Android Auto and Apple CarPlay), Bluetooth phone and audio connectivity and a six-speaker sound system with a CD player, HD radio, satellite radio, a USB port and an auxiliary audio jack. 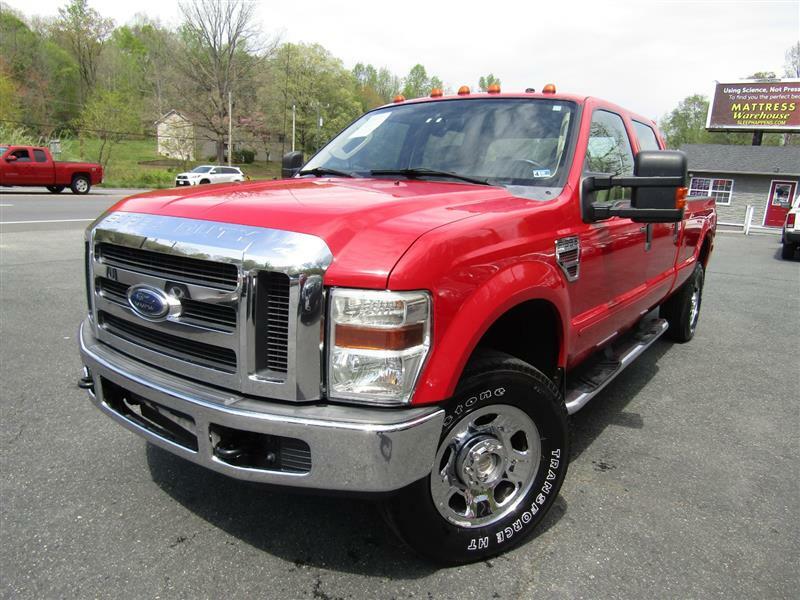 The 2008 Ford F-350 Super Duty comes in Regular Cab, SuperCab (extended cab) and Crew Cab body styles. The SuperCab has a pair of small rear-opening rear doors, while the Crew Cab has four conventional full-size doors. SuperCabs and Crew Cabs are available with a short (6.75-foot) or long (8-foot) bed; regular cabs are long-bed only. A dual-rear-wheel setup is offered as well, which allows more weight to be carried in the bed as well as providing greater stability while towing a heavy trailer. Four trim levels are offered: base XL, midlevel XLT, off-road-oriented FX4 (4WD only) and luxurious Lariat. Regular cabs are available only in XL and XLT form. The XL is meant for those who just need a bare-bones work truck; it comes standard with plain vinyl upholstery, a basic AM/FM radio, 17-inch wheels and not much else. Additional comforts such as air-conditioning are optional, or one could move up to the XLT, which adds cloth upholstery, an MP3 audio jack, a 40/20/40 front bench, air-conditioning, a CD player, cruise control, chrome wheels and full power accessories. 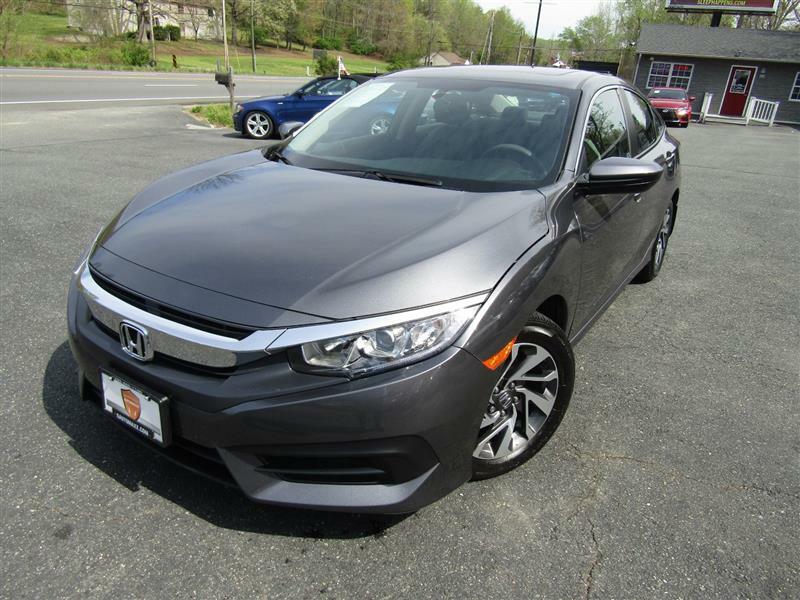 The 2017 Honda Civic is a compact car offered as a sedan, coupe or hatchback. 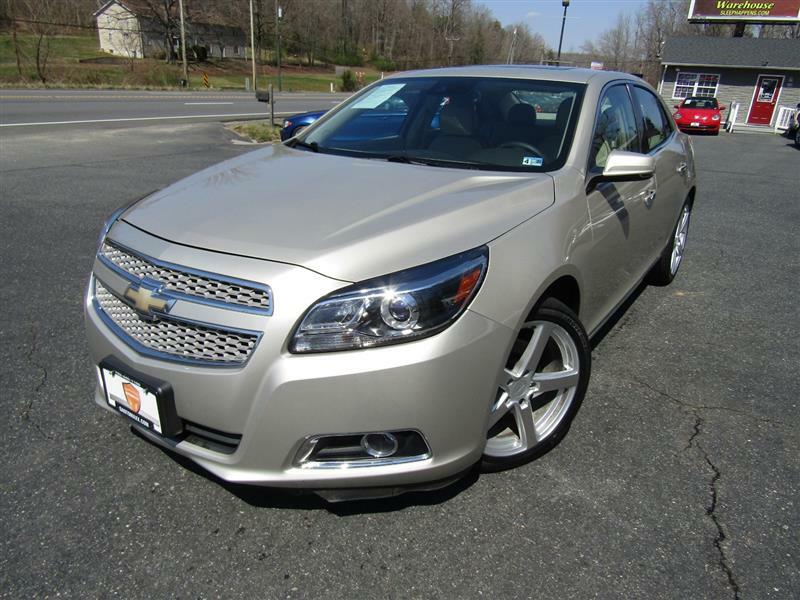 The sedan is available in six different trim levels: LX, EX, EX-T, EX-L, Touring and Si. There are also three hatchback-specific trims: Sport, Sport Touring and Type R. Though it may be the base trim, the standard Civic LX comes with a lot of equipment for the money. Standard equipment includes a 2.0-liter four-cylinder engine (158 horsepower, 138 pound-feet of torque), a six speed manual transmission (a continuously variable transmission is also available), 16-inch alloy wheels, automatic headlights, LED daytime running lights and taillights, full power accessories, 60/40-split folding rear seatbacks, cruise control, an expanded-view driver side mirror, automatic climate control, a tilt-and-telescoping steering wheel and manual front seats with driver height adjustment. Electronics features include a 5-inch central display screen, a rearview camera, Bluetooth (phone and audio), and a four-speaker sound system with a USB port. The standard LX is nice enough, but if you'd like a bit more in-car tech and a few more basic creature comforts, then step up to the EX. The EX builds off the base LX, but it adds the CVT as standard along with a sunroof, heated side mirrors, a rear center armrest with cupholders, an eight-speaker audio system with dual USB ports, Honda's LaneWatch blind-spot camera, dynamic guidelines for the rearview camera, keyless ignition and entry with remote start, and a 7-inch touchscreen interface with satellite radio, Pandora compatibility, HondaLink smartphone integration and Apple CarPlay/Android Auto integration (including app-based navigation). 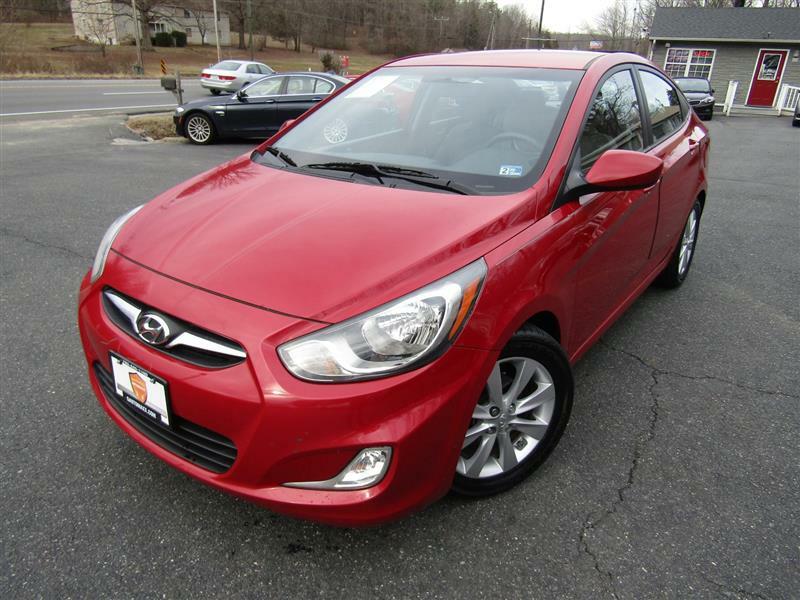 The 2013 Hyundai Accent is a compact four-door sedan or four-door hatchback. The sedan is offered only in base GLS trim, while the hatchback comes in GS and fancier SE trims. The GLS sedan comes equipped with 14-inch steel wheels, air-conditioning, full power accessories, a tilt steering wheel, 60/40-split-folding rear seatbacks, a trip computer and six-speaker sound system with a CD player, satellite radio and iPod/USB/auxiliary input jacks. A Premium package offered on the automatic-equipped GLS bundles together foglights, 16-inch alloy wheels, keyless entry, upgraded interior trim, a center storage console with sliding armrest, cruise control, steering-wheel-mounted audio controls and Bluetooth. The 2014 Chevy Camaro is available in both four-seat coupe and convertible body styles. There are eight trim levels, including the V6-powered 1LS/2LS and 1LT/2LT, the V8-powered 1SS/2SS and high-performance ZL1. Topping out the range is the ultra-performance Z/28. 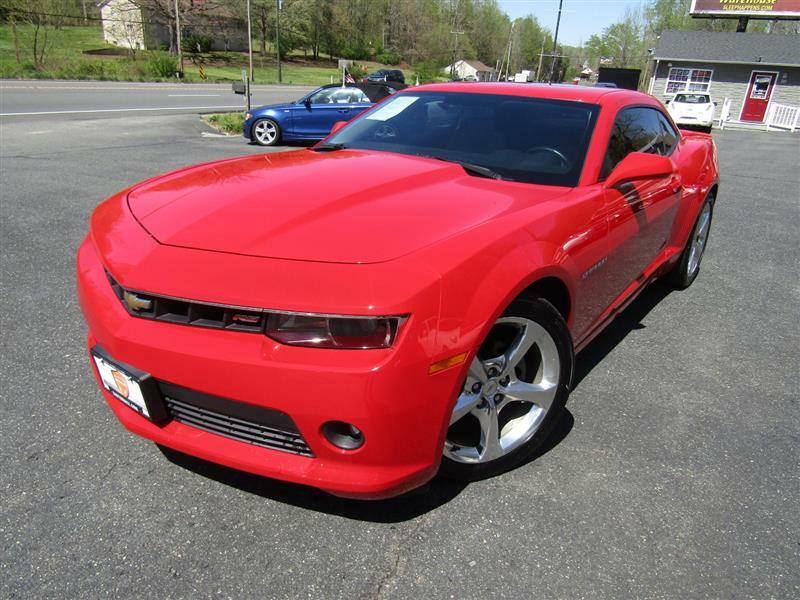 The 1LS/2LS and Z/28 models are available only as a hardtop coupe, while all other Camaro models are available as a coupe or convertible.Standard equipment on the entry-level 1LS includes 18-inch alloy wheels, automatic headlights, keyless entry, air-conditioning, manually adjustable front seats with power recline, cruise control, a manual tilt-and-telescoping steering wheel, Bluetooth phone connectivity, OnStar and a six-speaker sound system with a CD player, auxiliary audio input jack and satellite radio. The 2LS adds an automatic transmission. The 1LT tacks on foglights, remote start (automatic transmission models only), eight-way power front seats, a 7-inch touchscreen with smartphone app integration (Chevy's "MyLink") and Bluetooth audio connectivity. In addition to a power-operated soft top, all 1LT convertible versions also come standard with rear parking sensors and a rearview camera. 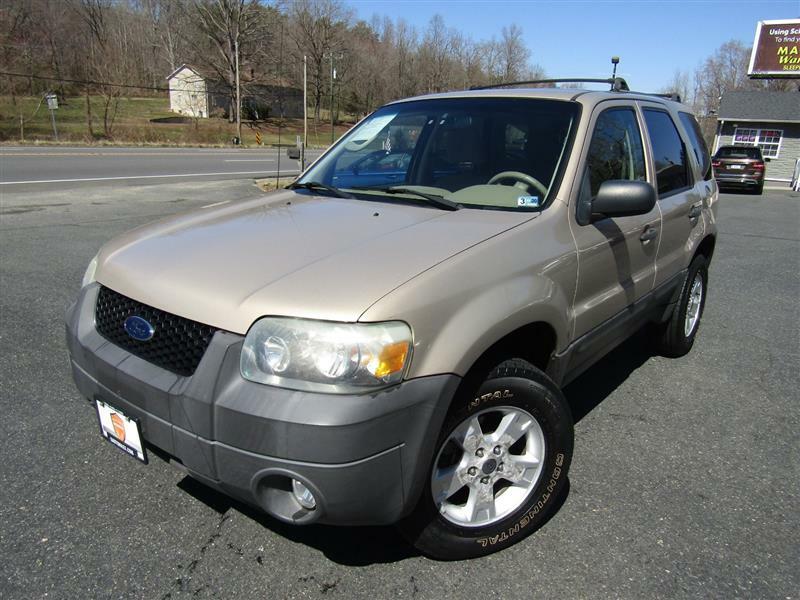 The 2007 Ford Escape is a compact, four-door SUV available in four trim levels: XLS, XLT, XLT Sport and Limited. Equipped with 15-inch steel wheels, XLS versions start you out with basic amenities like air-conditioning, keyless entry, a CD player and power windows and mirrors. The Escape XLT is likely the best bet for most buyers, as it adds 16-inch alloy wheels, a power driver seat, upgraded cloth upholstery, cruise control and an in-dash CD changer, while also offering the option of a V6 engine. 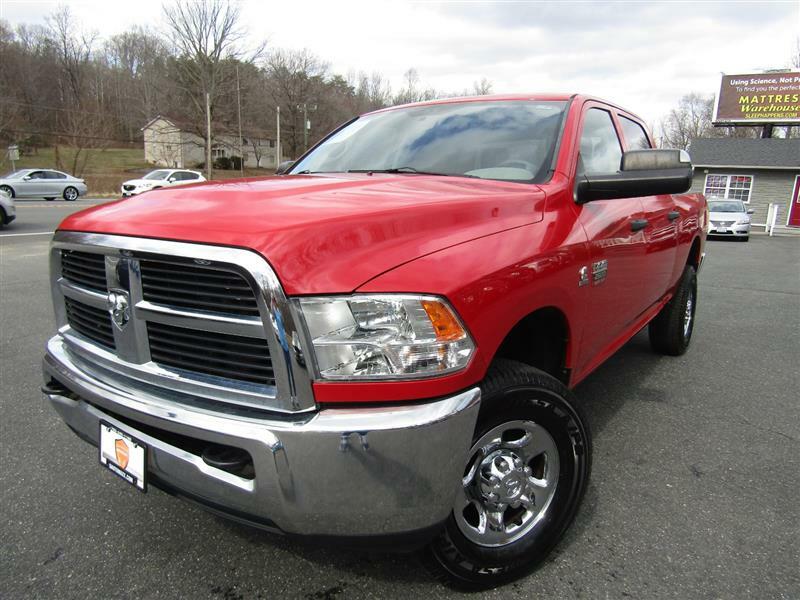 The 2012 Ram 2500 heavy-duty pickup is available in three cab styles: regular, Crew Cab and Mega Cab (a jumbo crew cab). The regular cabs come with a long bed only, while the Crew Cab has either a short or long cargo bed. The Mega Cab rides on the same wheelbase as the Crew Cab long bed, but it combines an even bigger cabin with a short bed. The regular cab comes in ST or SLT trims; the Crew Cab in ST, SLT, Laramie, Laramie Longhorn and Power Wagon trims; and the Mega Cab in SLT, Laramie and Laramie Longhorn only. The Ram ST trim level that comes with 17-inch steel wheels, black grille/bumpers, vinyl upholstery and flooring, a 40/20/40-split front bench seat, air-conditioning, an electronic vehicle information display, a tilt steering wheel and a six-speaker stereo with a CD player and auxiliary audio jack. Power windows and door locks are standard on Crew Cab models, while regular cabs have manual controls. Opting for the diesel will also get you an exhaust brake. Typically seen only on big rigs, an exhaust brake provides additional stability and braking power when towing very heavy loads. And those loads can be quite substantial. The Ram 2500 has a maximum tow rating of 14,000 pounds with the gasoline engine, 13,400 for the manual-equipped diesel. 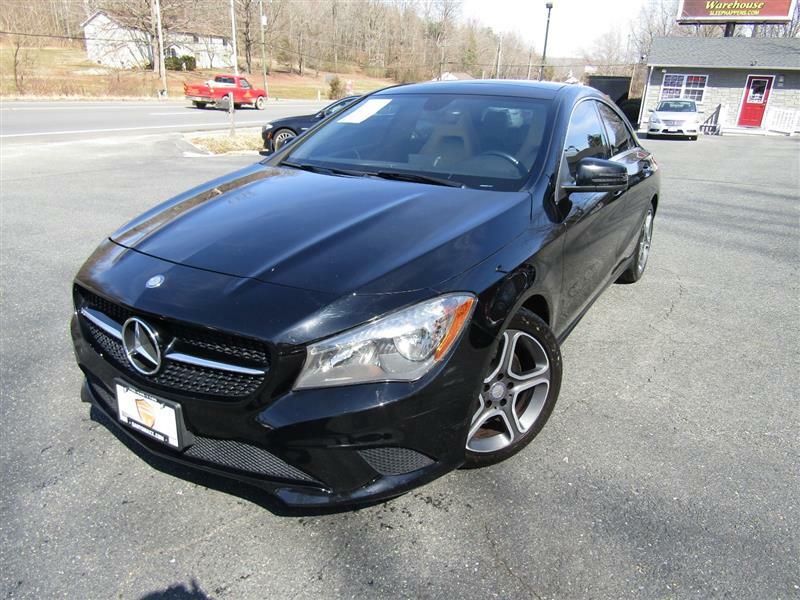 The 2011 Mercedes-Benz C-Class is an entry-level luxury sedan available in four trim levels: C300 Sport, C300 Luxury, C350 Sport and C63 AMG.The C300 models share the same engine and are both available with 4Matic all-wheel drive, but differ in exterior styling elements, interior trim, suspension tuning, front seat design and standard transmission. Both C300 models come standard with 17-inch wheels (different designs, however), a sunroof, automatic headlights, cruise control, dual-zone automatic climate control, a tilt-and-telescoping steering wheel, eight-way power front seats, vinyl upholstery, Bluetooth and an eight-speaker stereo with a CD player, auxiliary audio jack and a pop-up 5-inch display screen. The Premium I package adds auto-dimming mirrors, a 10-way power driver seat, power driver lumbar support, driver memory functions, a power-adjustable steering wheel, automatic wipers, heated front seats, satellite radio, a power rear sunshade and a split-folding rear seat. A lighting package adds active xenon headlights with washers, LED running lights (standard on Sport version) and LED taillights. 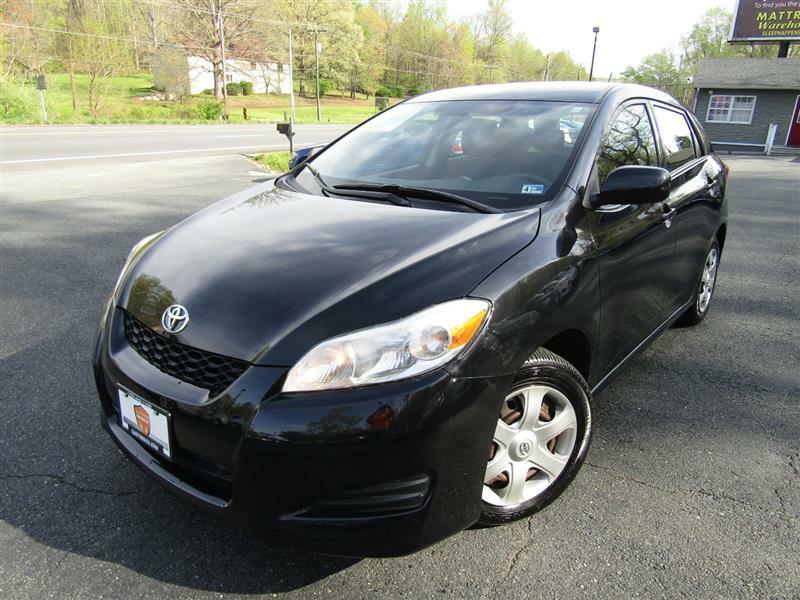 The 2009 Toyota Matrix is a small wagon/five-door hatchback available in three trim levels -- base, S and XRS. 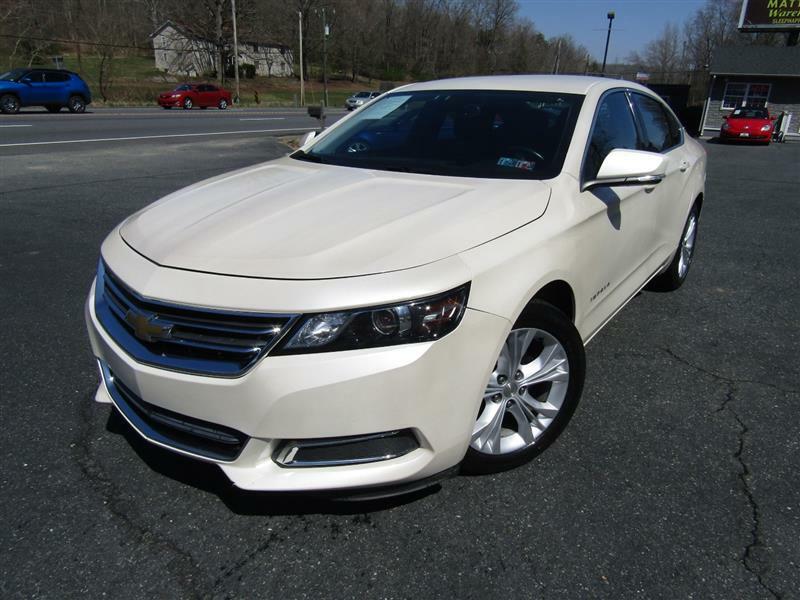 All-wheel drive is optional on the midrange S. The base car starts you out with 16-inch steel wheels, air-conditioning, a CD stereo with an auxiliary audio jack, a tilt/telescoping steering wheel and power mirrors. 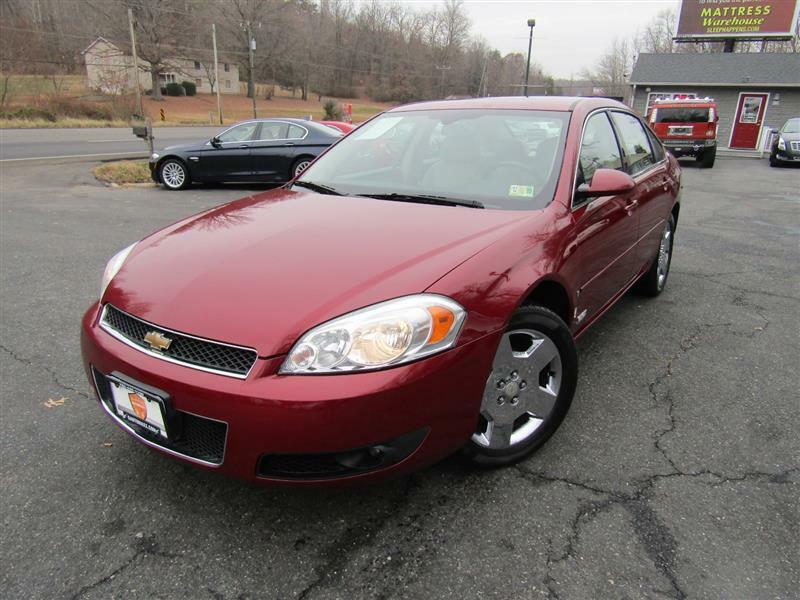 Note that cruise control, keyless entry and power windows and locks are optional on this version of the Matrix. 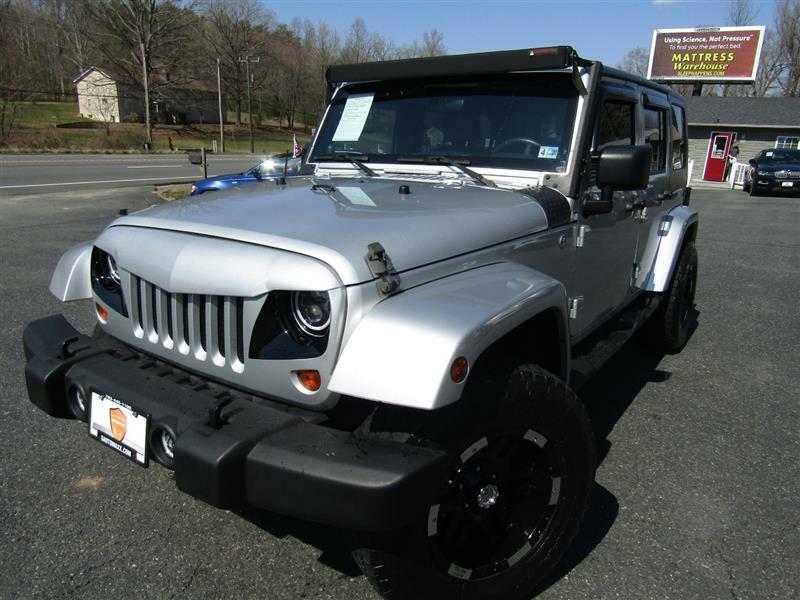 The 2007 Jeep Wrangler is a small SUV with a convertible top. 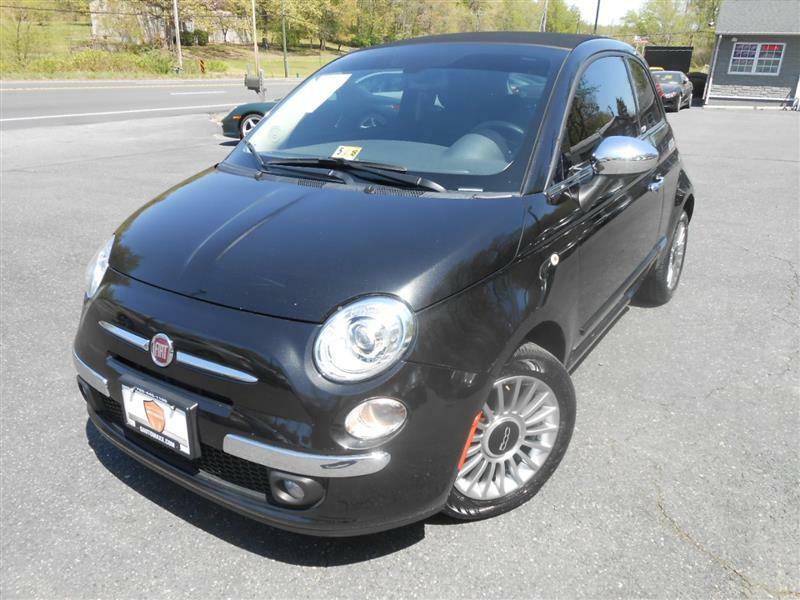 It's offered in two body styles -- regular two-door and the extended-wheelbase, four-door Unlimited. The basic Wrangler X is quite spartan, though a CD player with an auxiliary input jack is standard. An optional "C" Package adds air-conditioning, upgraded cloth seats and a full-length center console. The "S" Package has those features, plus 16-inch alloy wheels, tow hooks, cruise control and a compass/temperature display. 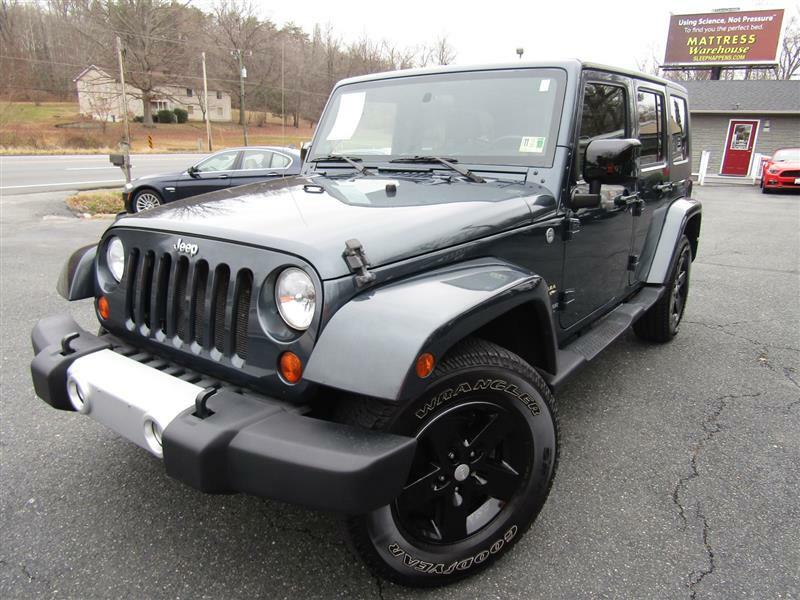 Also optional is a modular three-piece hard top (Freedom top), a sunroof-equipped soft top, a limited-slip rear differential, power windows, keyless entry, an Infinity audio system, a six-disc CD/MP3 player and satellite radio. The Jeep Wrangler Sahara is more upscale. 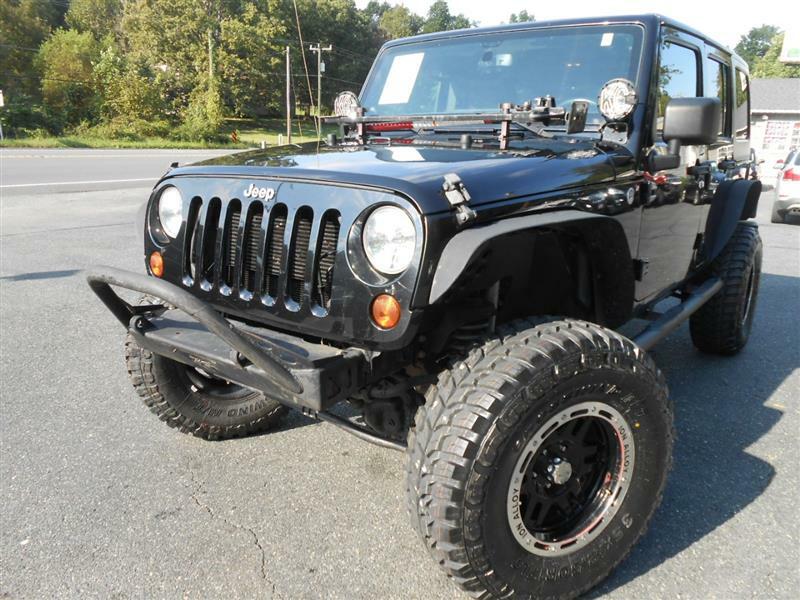 In addition to having many of the Wrangler X's optional features as standard, it also features 17-inch alloy wheels, body-color fenders, a heavy-duty suspension and upgraded seat fabric. 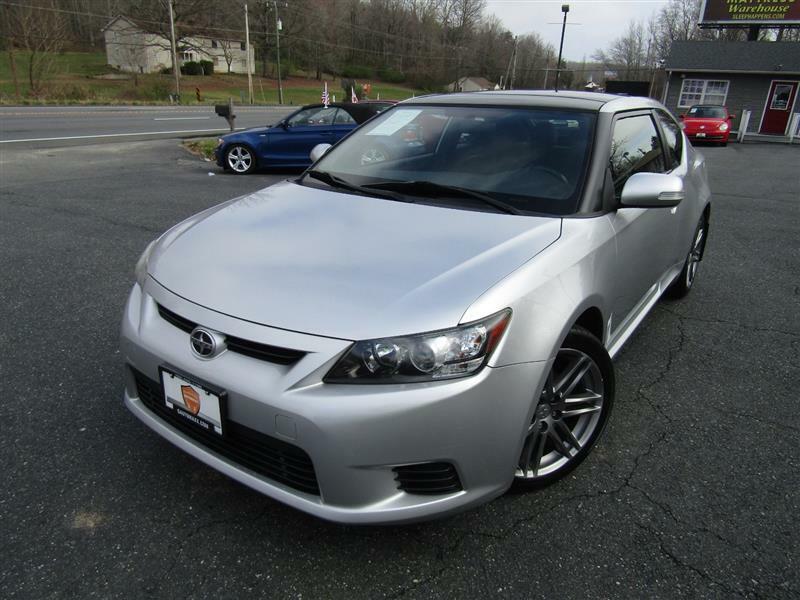 The 2016 Scion tC is a compact, five-passenger hatchback coupe offered in a single trim level. Standard features include 18-inch alloy wheels, LED front accent lamps, folding side mirrors with LED turn indicators, keyless entry and ignition, air-conditioning, cruise control, full power accessories, a panoramic sunroof with dual manual sunshades, a six-way adjustable (manual) driver seat with height adjustment and one-touch track and seatback angle memory, a leather-wrapped shift knob and tilt-and-telescoping steering wheel with audio controls, silver interior accents, reclining and folding 60/40-split rear seatbacks, Bluetooth connectivity, a 7-inch touchscreen display, voice controls and an eight-speaker Pioneer sound system with HD radio, Aha smartphone-app integration, an auxiliary audio jack and a USB port. 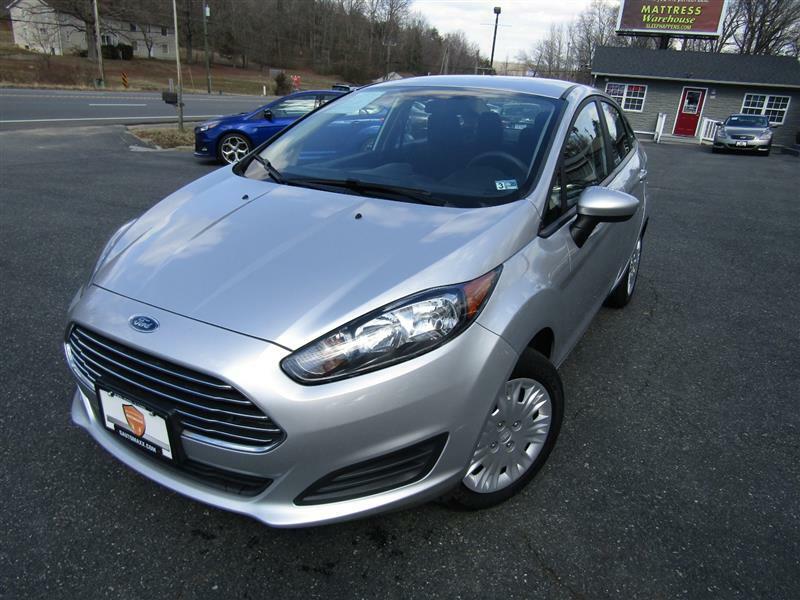 The 2015 Ford Focus is a compact car that's available in sedan and four-door hatchback body styles. There are three main trim levels available -- S, SE and Titanium -- as well as the Focus Electric. The high-performance turbocharged Focus ST is reviewed separately. The S model, which is only offered as a sedan, comes with 15-inch steel wheels; keyless entry; manual air-conditioning; power front windows, power locks and mirrors; integrated blind-spot mirrors; a height-adjustable driver seat; 60/40 split-folding rear seats; a tilt-and-telescoping steering wheel; Ford's MyKey (to limit speeds, audio volume, etc. for additional drivers); a rearview camera with 4.2-inch display; Ford's Sync voice-activated phone and audio player interface (includes Bluetooth) and a four-speaker sound system with a CD player and auxiliary audio jack. 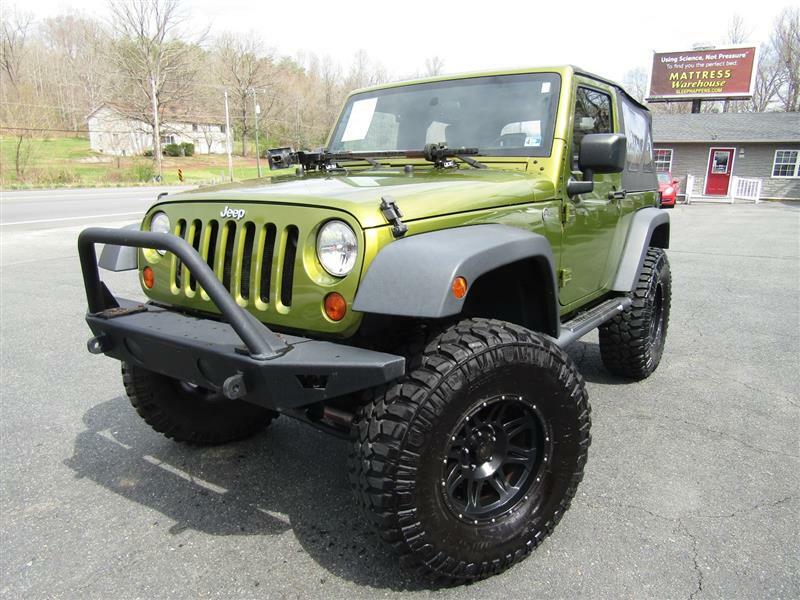 Premium wheels, off road tires, Lift kit, custom bumpers and more. 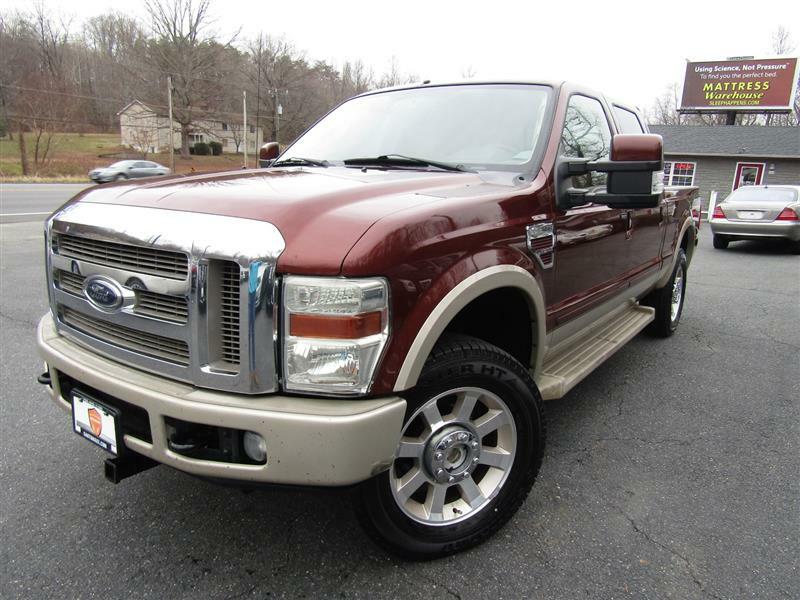 The Ford F-250 Super Duty comes in Crew Cab body style in XL trim level. 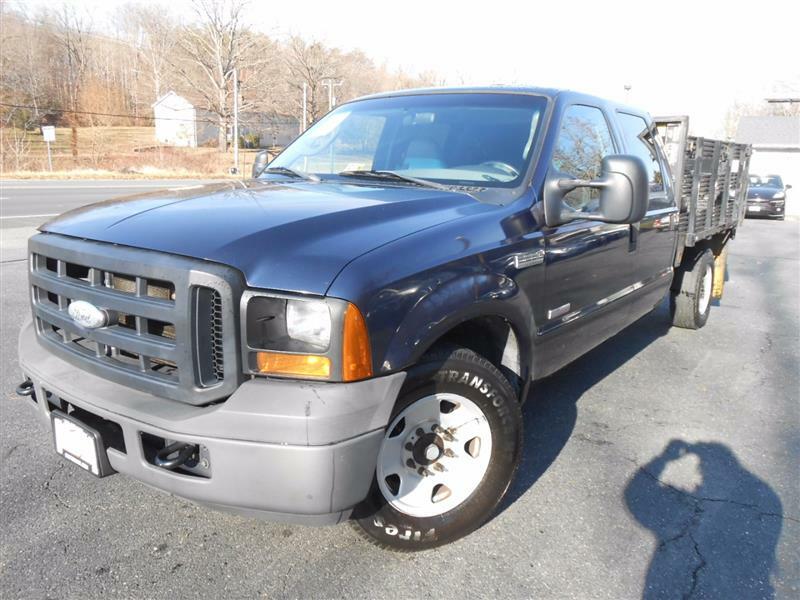 The XL model is a work truck, and as such comes with a vinyl bench seat in front; manual windows, mirrors and locks; a basic AM/FM radio; and no air conditioner. The Ford F-250 Super Duty is available with a 6.0-liter Power Stroke diesel V8 rated at 325 hp and 570 lb-ft.and a five-speed automatic transmission. 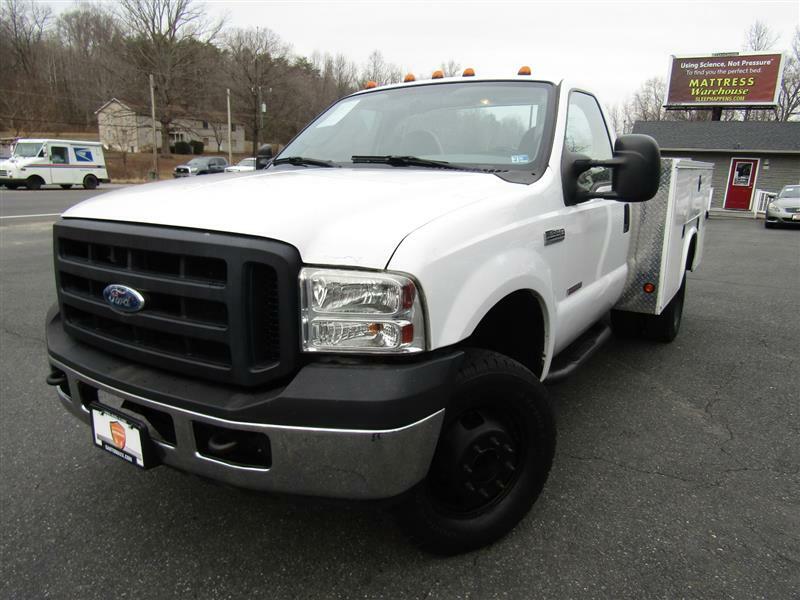 The 2006 Ford F-250 can tow up to 15,000 pounds. AT GUARANTEE AUTOMAXX WE SPECIALIZE IN GUARANTEED CREDIT APPROVAL PROGRAMS. WITH OVER 20 LENDERS AT HAND, WE FINANCE THE GOOD, BAD, NO CREDIT, BANKRUPTCY EVEN REPO. NO PROBLEM! HELP IS HERE! WITH OUR 100% CREDIT APPROVAL EVERYONE RIDES! 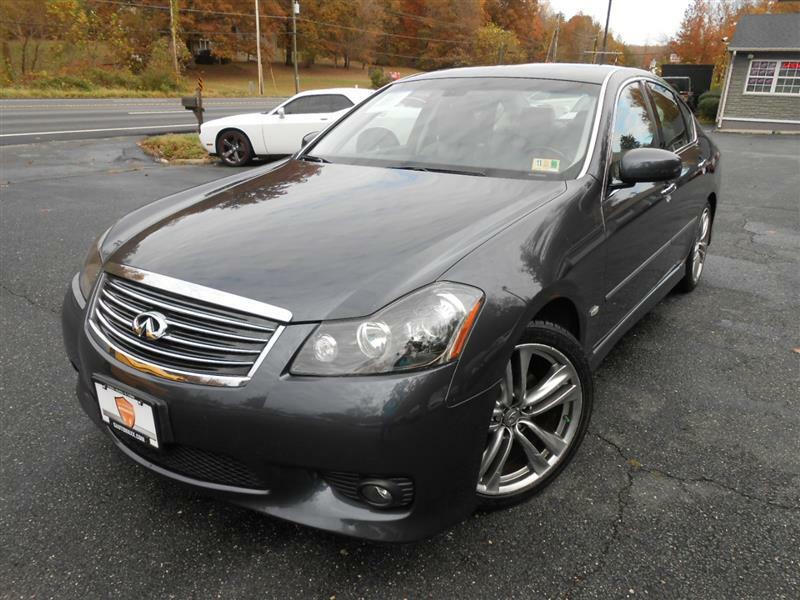 GUARANTEE AUTOMAXX WILL SHOW HOW EASY IT IS TO BUY A QUALITY USED CAR. 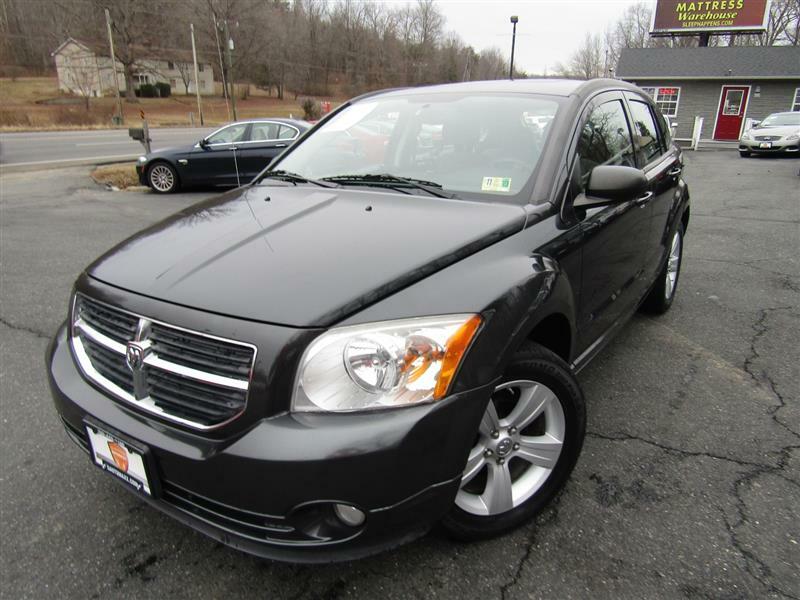 WE OUR ONE OF THE FEWER DEALERS THAT OFFERS 3 MONTH/3,000 MILES POWERTRAIN WARRANTY **FREE OF CHARGE**. HERE AT GUARANTEE AUTOMAXX, WE BELIEVE THAT FAIR PRICES AND OUTSTANDING CUSTOMER SERVICE LEADS TO AN OVERJOYED CUSTOMER.